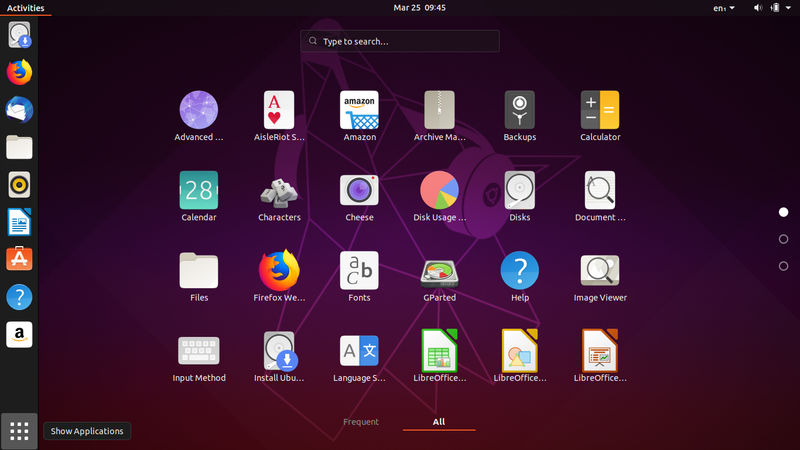 Ubuntu 19.04 released Thursday, 18 April 2019 along with 7 Official Flavors. This page lists all download links of ISO images both direct links & torrents with MD5SUMS. Among these links, I highly recommends you to download via torrents instead as it's faster, more reliable, and in same time it benefits the whole community. Happy downloading, happy working! Check MD5SUM value of every ISO image you downloaded and then compare the value with these MD5SUM values. Simply use Ctrl+F on your web browser to find. 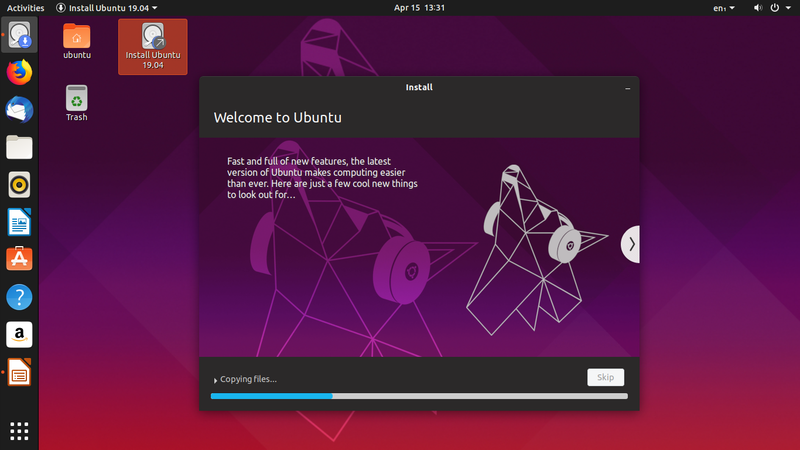 This is the traditional recommendation to do and and tips & tricks for users who just installed Ubuntu 19.04. 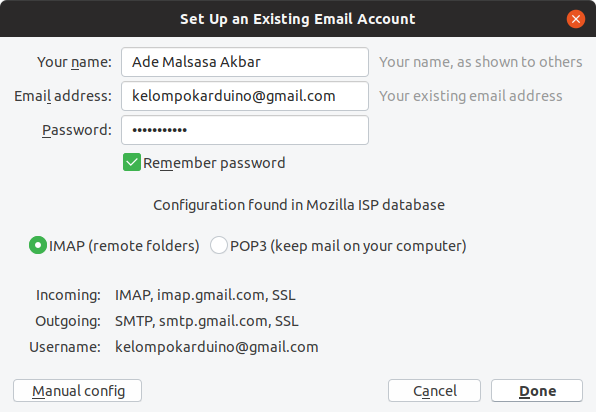 This recommendation I tried to limit the stuffs to built-in applications only, with less customization, such as, making presentation with LibreOffice Impress using Ubuntu artworks, subscribing to Ubuntu & GNU/Linux podcasts such as MintCast & Ubuntu Podcast in Rhythmbox, saving online accounts credentials using GNOME Seahorse (similar to KeePass), along with the usual Firefox addons and changing Nautilus default view & making desktop shortcuts for apps. Of course, you will Finally, I hope you enjoy 19.04 with this article. Happy working! For example, in Indonesia, personally I find that either Kartolo by Datautama company or Kambing by Indonesia University is the most reliable, fastest mirror. For you country where you live, you can either use Select Best Server button or find by yourself trying from among choices available. 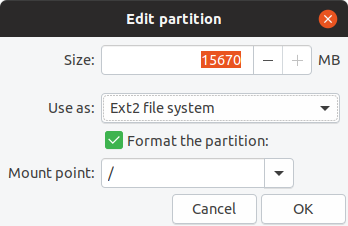 By default, Ubuntu chooses not either one of them, but id.archive.ubuntu.com which is considerably far slower. I changed my mirror heading to Kartolo immediately after I finished Ubuntu installation. 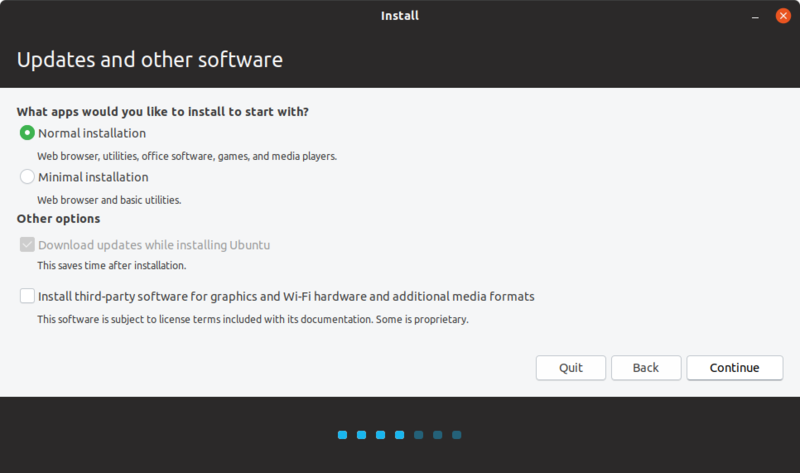 Browsing for applications is easy thanks to Ubuntu Software (the app center) or I prefer to call it Software Center instead. 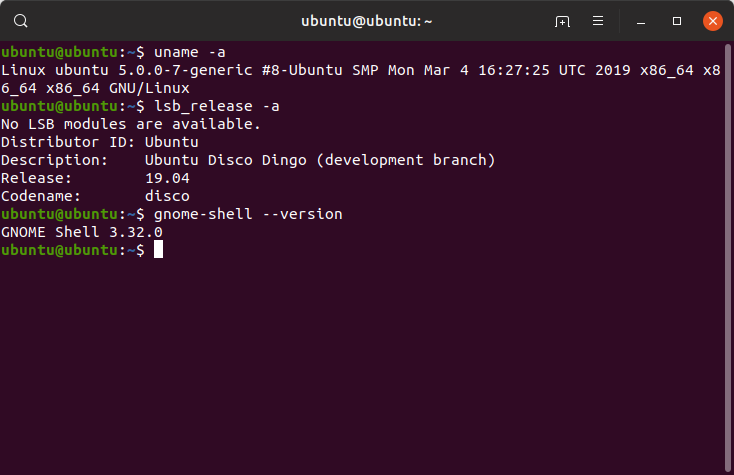 The Software Center presents you applications from the official Ubuntu repository as well as applications from Snapcraft.io (in other words, gives you both DEB and Snaps). However, it mixes together between free and proprietary software there. To know whether a program is free, click the application, click License section, you will see it's described as Free (mostly with permission called "GPL"), otherwise it's described as Proprietary. If you come to 19.04 straight from 16.04, you will find Nautilus changed a lot. 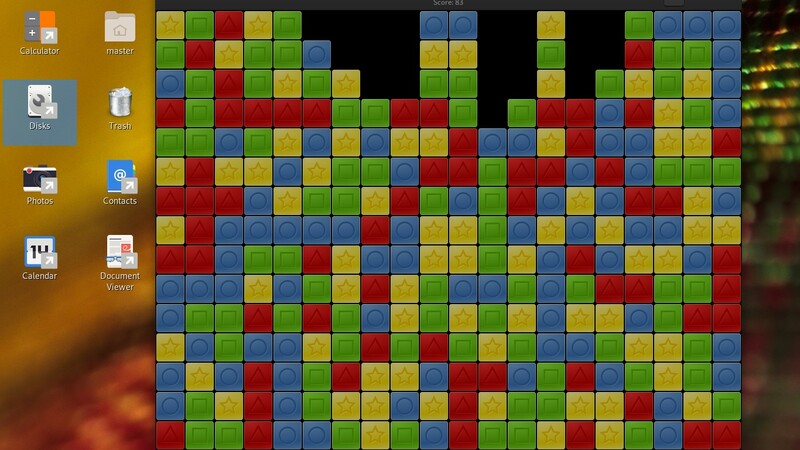 It's far more simpler with many options removed from the screen. But your settings are still familiar, for example, show List View everywhere and show file size on Thumbnails View. 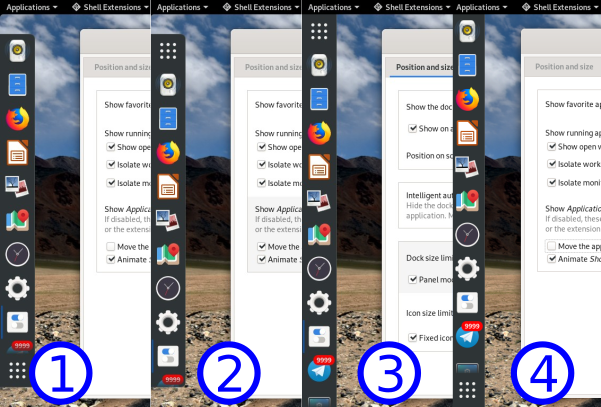 To put applications on desktop, you cannot drag and drop icons from menu straight to desktop area. Instead, you copy applications from /usr/share/applications/ to ~/Desktop directory. 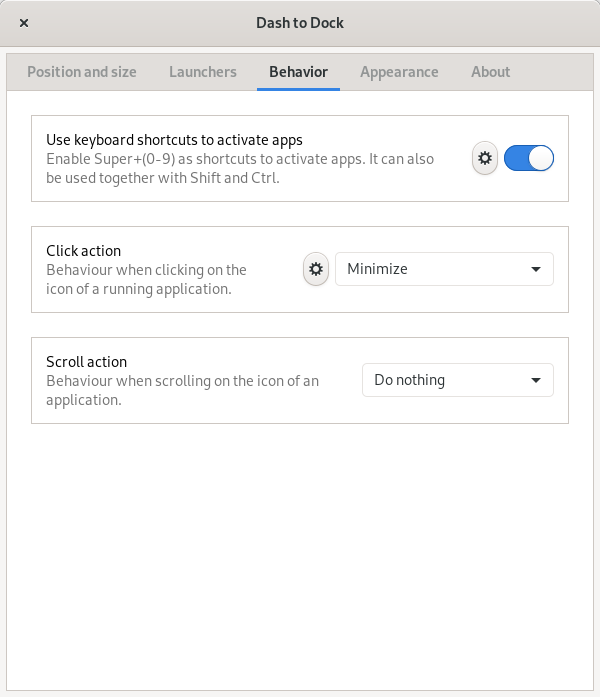 Next step, right-click every application on desktop > Allow Launching. Finally, you can run every one of them. 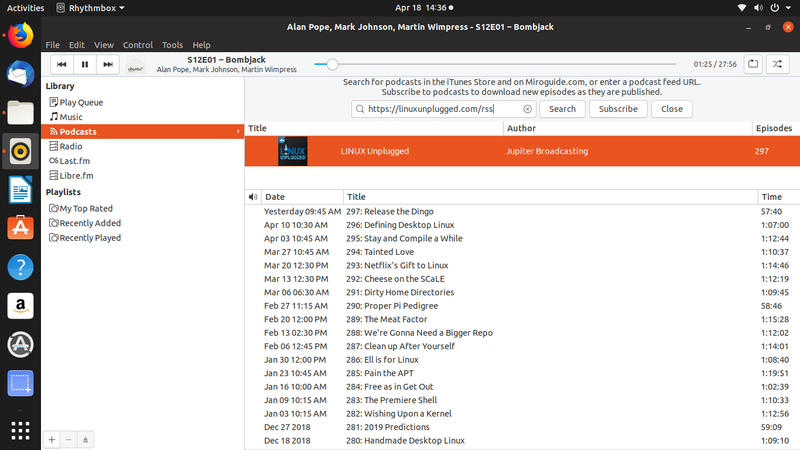 Starting the new Ubuntu 19.04 with community podcasts is a good thing! Podcast is, simply, internet radio broadcasting you can download as MP3 or OGG audio file, which regularly published weekly or monthly, by individuals among our community. 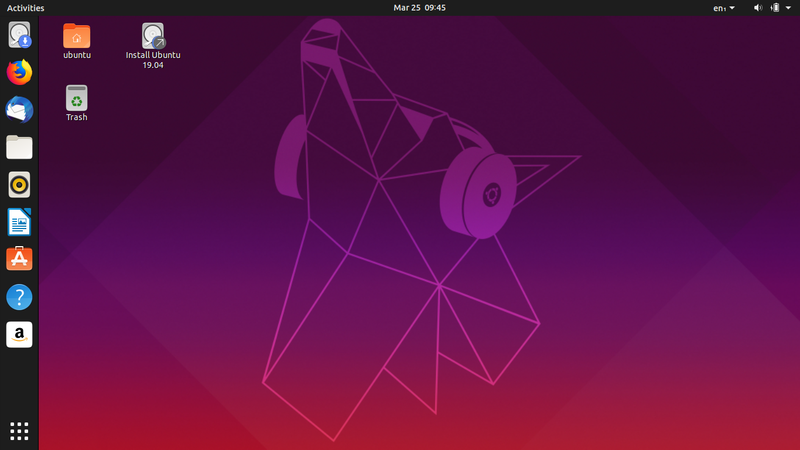 In our Ubuntu and Free/Libre Open Source Software community, podcasts talk about daily life using Ubuntu itself, gaming, hardware tweaking, security, and some about internal development of various GNU/Linux distros. You can play podcast using Rhythmbox. 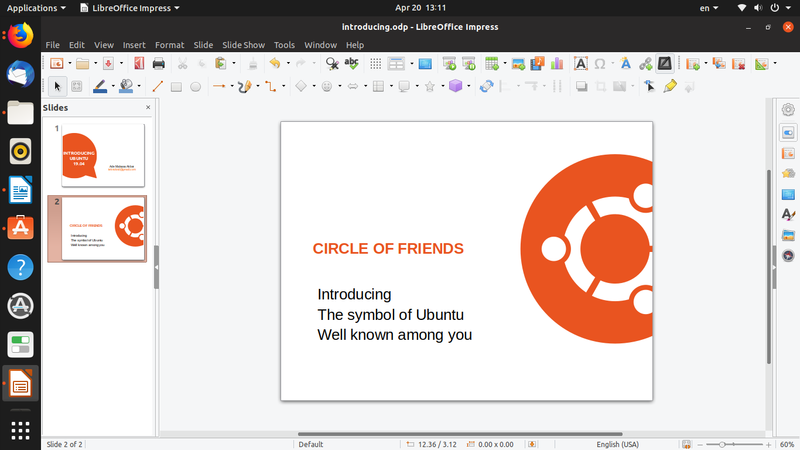 You can create amazing presentation in Impress using artworks you can download from Ubuntu. 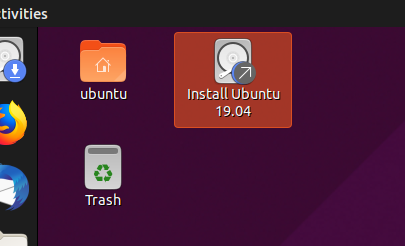 You can find many logos, including Ubuntu logo itself, along with the iconic dialog balloon you saw on installation progress. 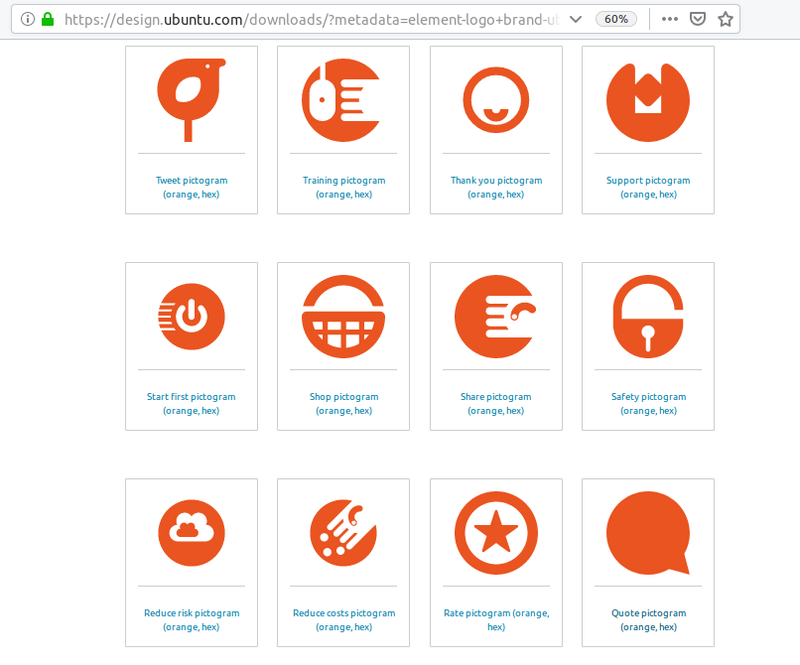 Download the Quote Pictogram from https://design.ubuntu.com/downloads. Drag and drop the SVG file into Impress. Right-click the balloon > Crop > cut it off to fit its left edge with left edge of the slide. 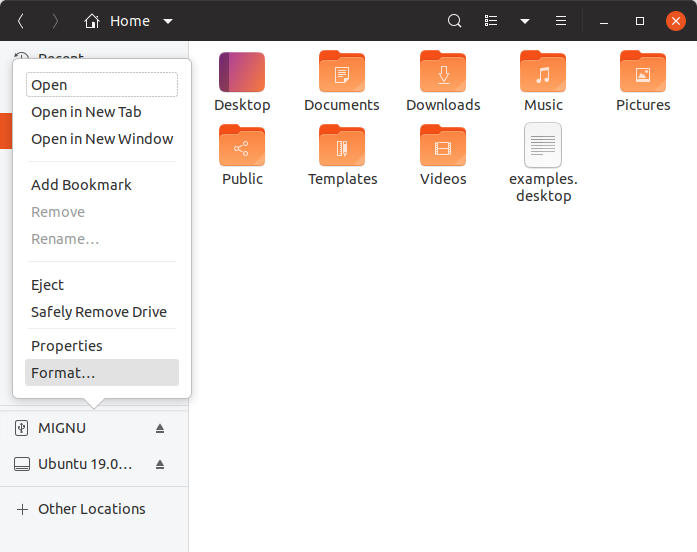 Ubuntu comes with Mozilla Firefox web browser. 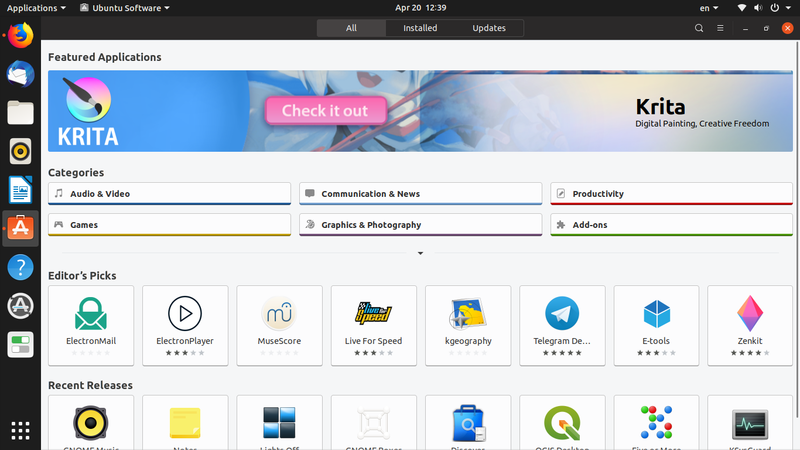 It has automatic updates feature for its search engine, addons, and the Firefox itself. If you prefer to update everything manually, like me for example, turn them off below. 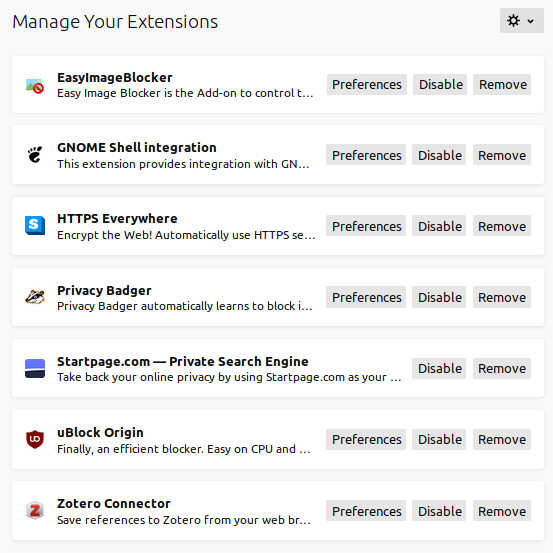 And, below you will find addons recommendation you can use. 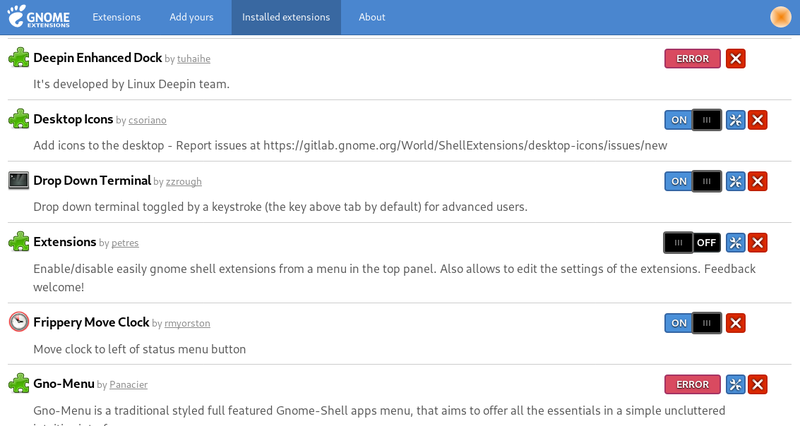 This way, you can install Desktop Extensions you love from GNOME website. 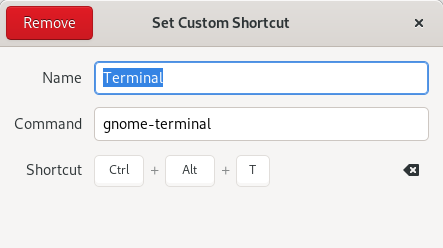 There are a lot of extensions to boost up your productivity and comfortability using Ubuntu 19.04, such as, Drop Down Terminal. See extension recommendation article for more. 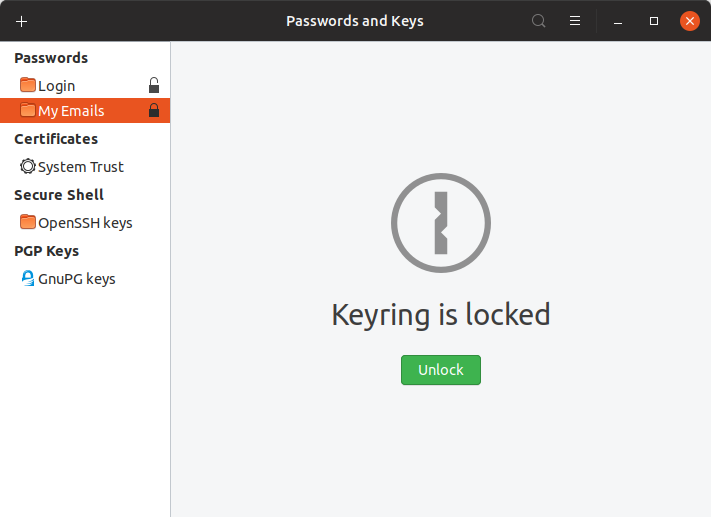 Yes, Ubuntu 19.04 comes with a secure password keeper program. 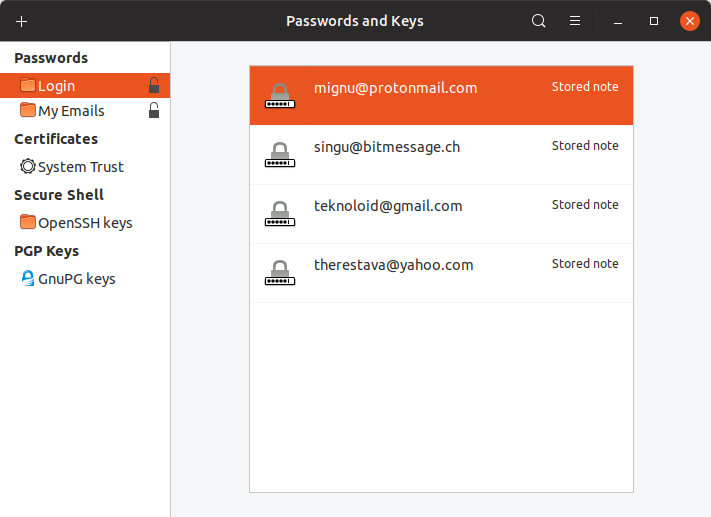 You can use it to save your online accounts (usernames & passwords) so you can open them at any time. It's Passwords & Keys on start menu and originally named GNOME Seahorse. Your account password shown in dots with Copy button beside. Click the key button to show/hide the password. 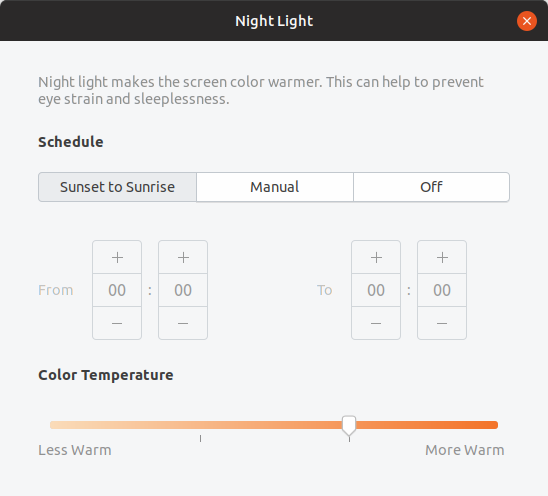 Night light: set it to Sunset to Sunrise to make it automatically adapts screen color warmth. 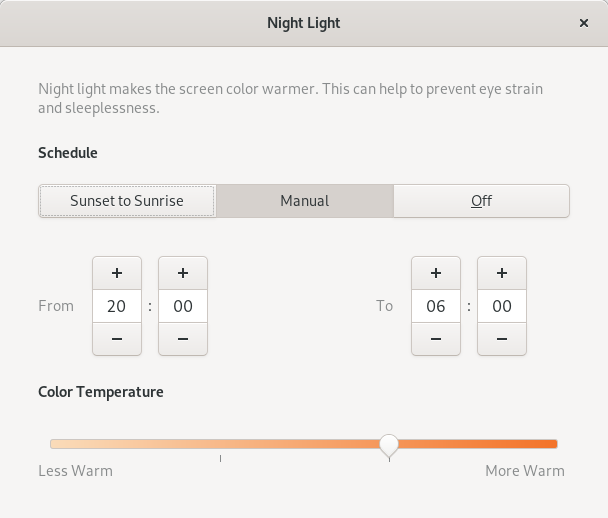 As many of you know, for users with long duration in front of screen, this helps reduce eye strain and sleeplessness. 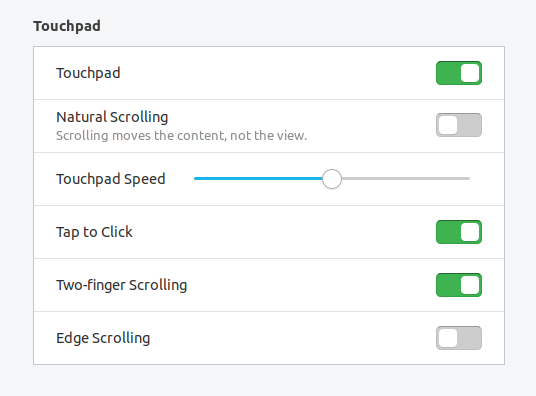 Touchpad settings: for laptop users, enable Touchpad, Tap To Click, and Two-finger Scrolling options, and disable Natural Scrolling. 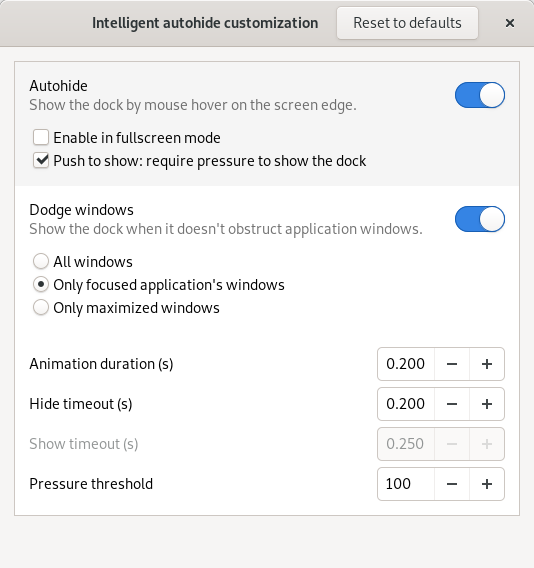 1) Screen Lock: you can choose the delay time to lock from 30 seconds to 1 hours. 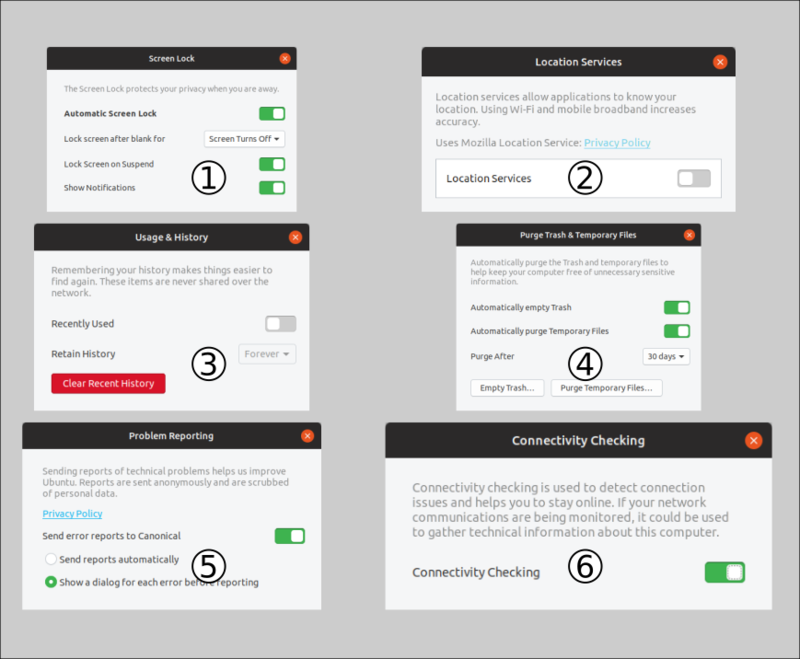 2) Location Services: it's actually Mozilla Location Service, if enabled, you allow applications (and highly probable, their developers) to know your location. 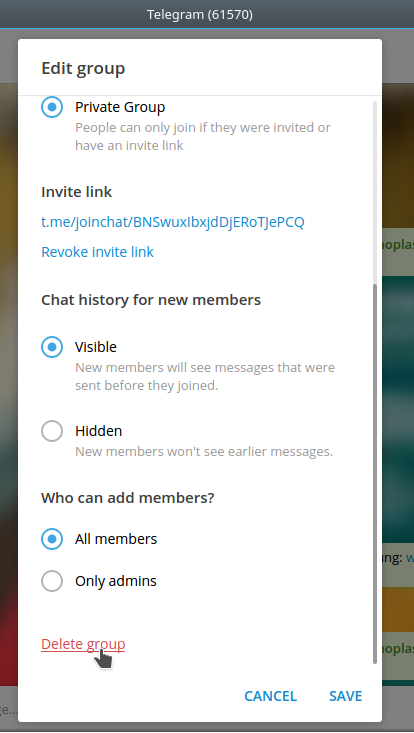 Privacy wise, it's better to disable this. 3) Usage & History: recent files can be disabled by disabling this. 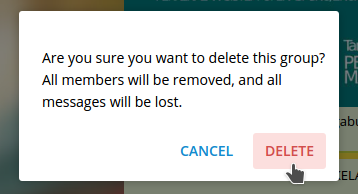 You can also delete them by pressing Delete button there. 4) Purge Trash & Temp. Files: you may choose to automatically delete everything on trash bin and temporary. 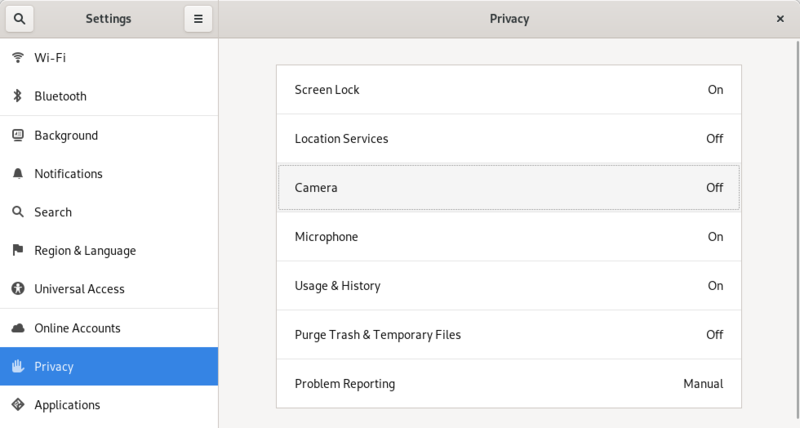 5) Problem Reporting: enable this and you can report problems and bugs on your system easily and automatically to Ubuntu Developers. 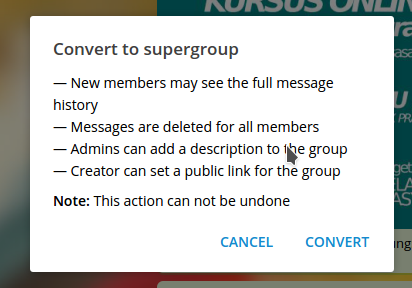 Disable this if you do not want to see Apport Error Notification bugs you anymore. 1) Language: this changes the language of all applications user interface. 2) Formats: this changes date/time, numbers (100.000,00 / 1,000,000.00), measurement (Metric / Imperial), and paper size (A4 / Letter). 3) Input source options: you can choose whether to apply one keyboard layout to all applications, or to make some exceptions. 4) Keyboard layout: add new keyboard layout (like Russian, Japanese, Arabic, etc.) and switch the order among them. Adding new layout shows them on top bar of your desktop. 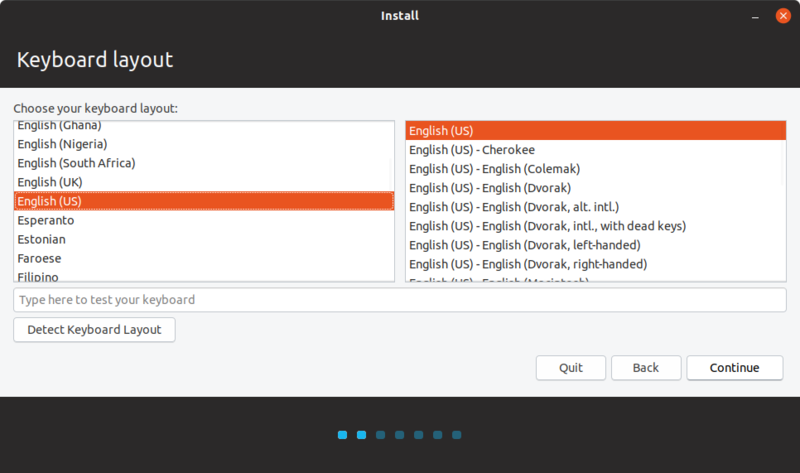 5) Install more languages: shows Language Support dialog to search and download more user interface languages. 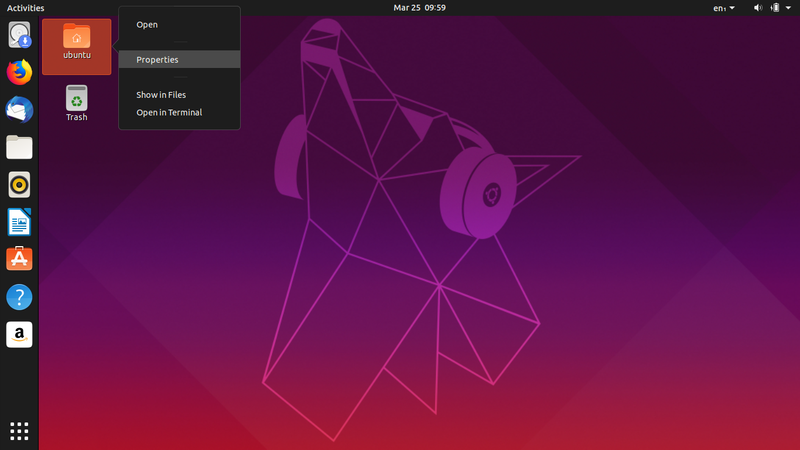 Volume settings: Ubuntu 19.04 can amplify volume beyond 100%. This helps for listening by speaker when raining, or, when you are in a noisy public place. 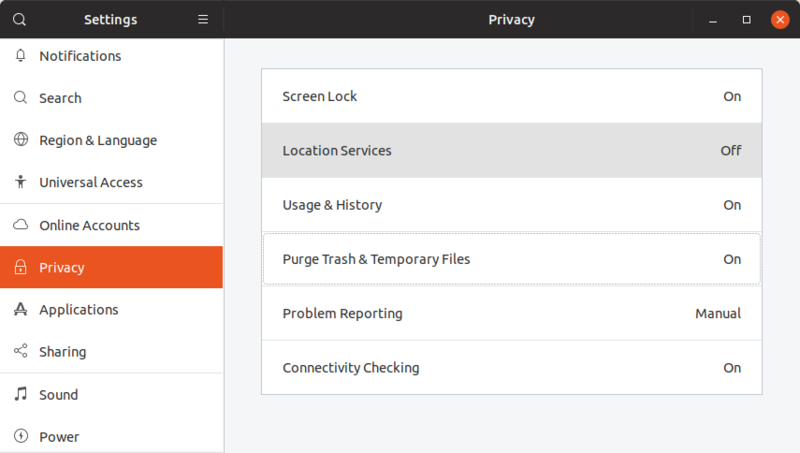 For example, you want to connect to Google Drive using file manager, and take back your personal data to keep them in your local custody. 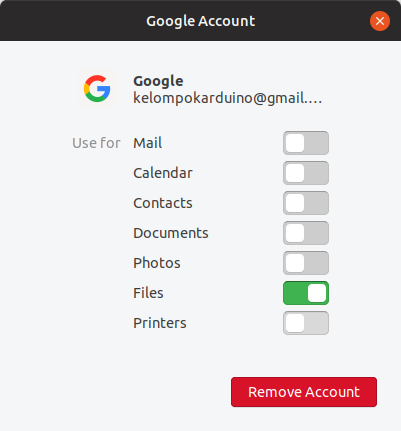 Go to System Settings > Online Accounts > Google > type your username > type your password > type verification if asked > OK > make sure Files option is enabled there. Once enabled, go to File Manager, you will see your email address there. 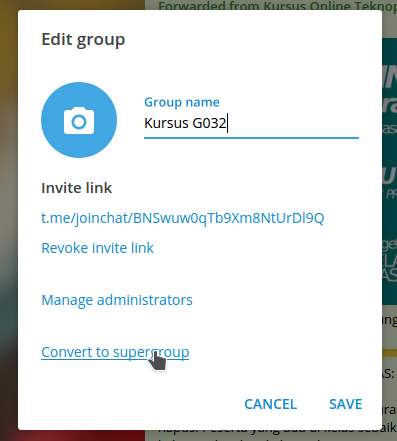 Click it to access your Google Drive. 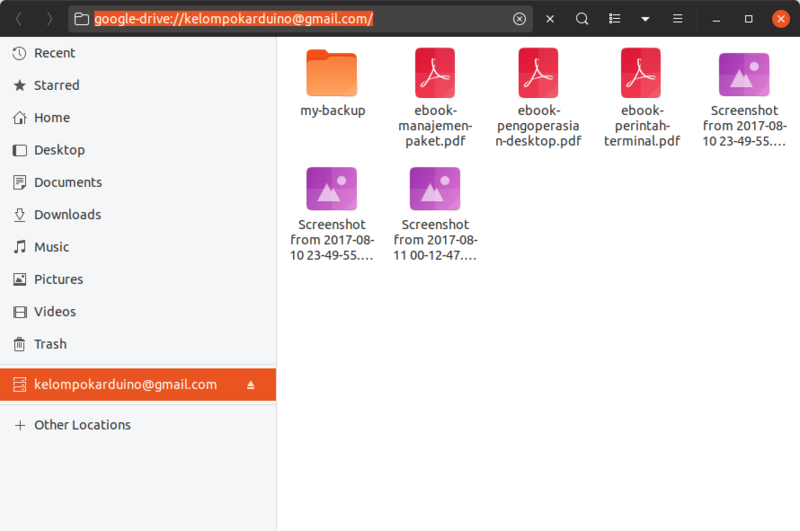 System Settings showing Files section ON aka synchronized to Google Drive. 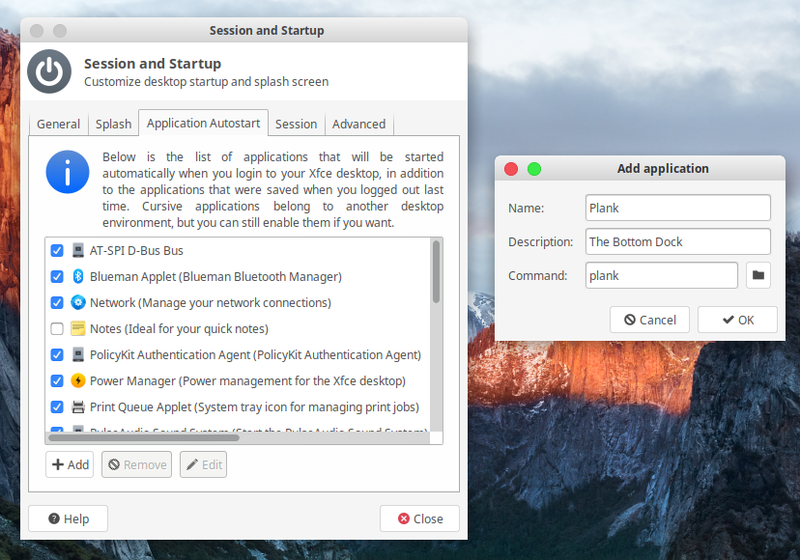 Previous tutorial explained how to make this GNOME desktop look more desktop-oriented rather than smartphone-oriented. 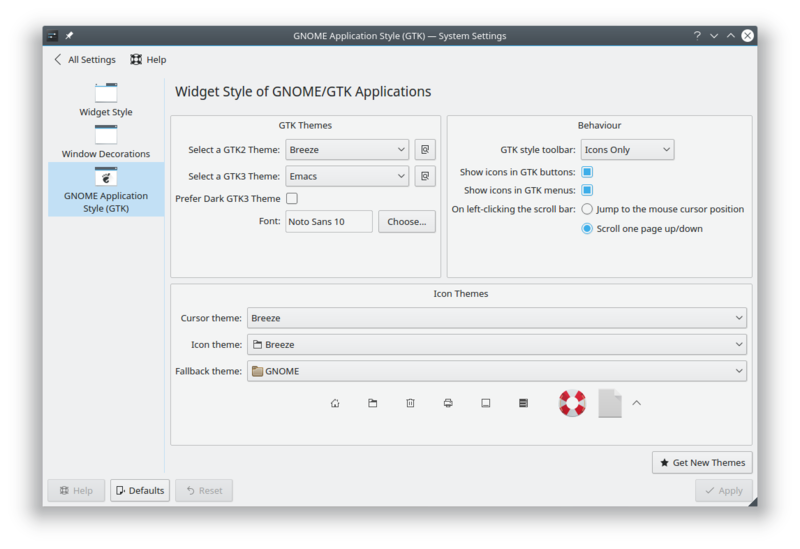 For this purpose, you will need GNOME Tweak Tool installed and GNOME Integration enabled. 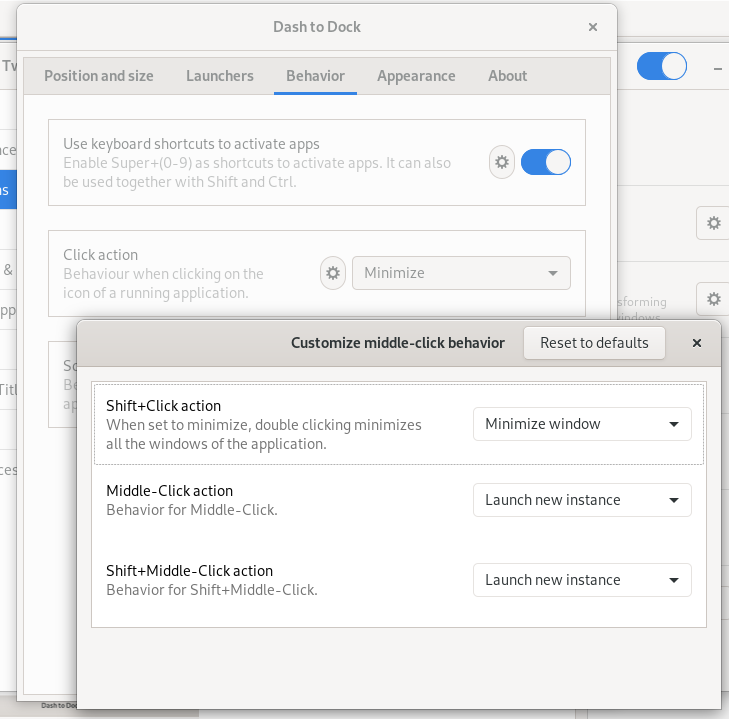 The extension, Dash To Panel, will automatically turn left panel to bottom taskbar including system tray. 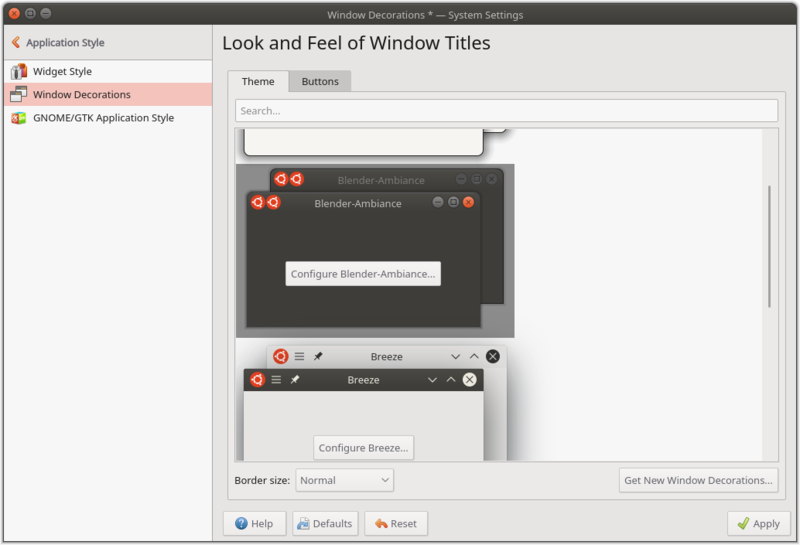 If you prefer KDE Plasma or Windows 7 style of panel positioning, you will like this customization. Enjoy! 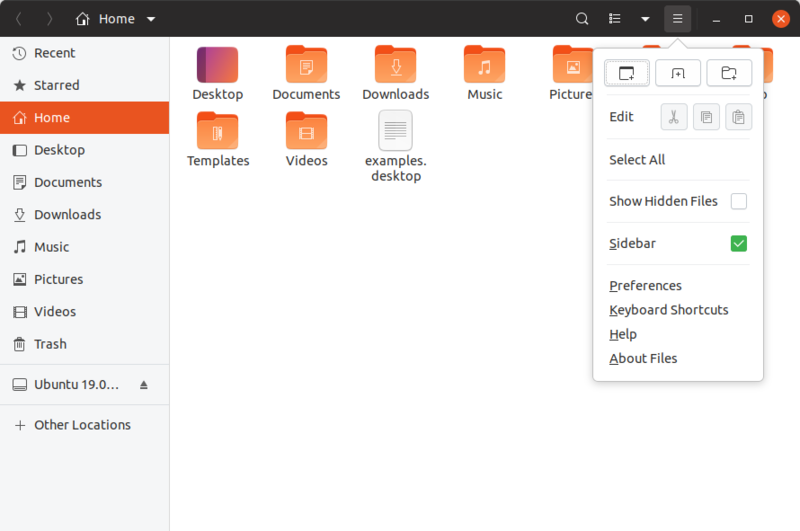 How about using Yaru Desktop & Icon Theme outside of Ubuntu? Where to download? How to set them up? 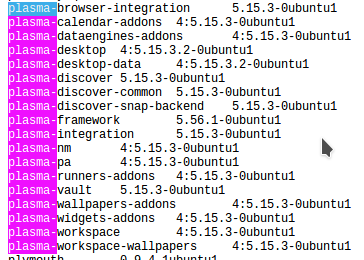 That's interesting as many GNU/Linux distros come with vanilla GNOME with Adwaita Theme. 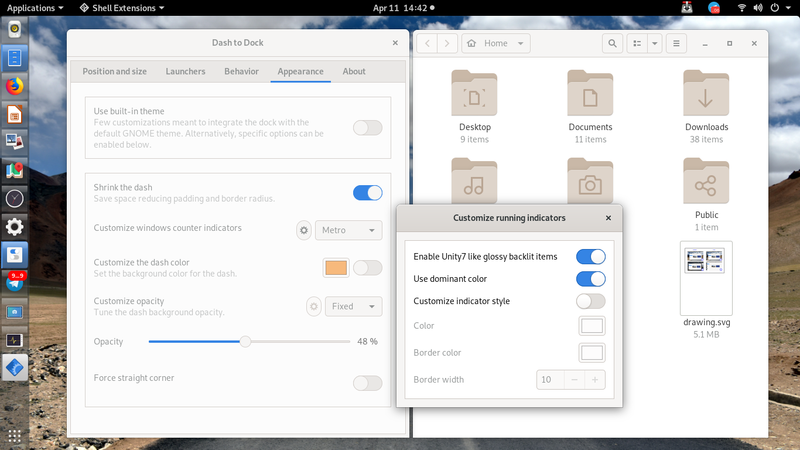 You might want it as Yaru is a unique, all-in-one, modern theme pack for GNOME inspired by the so called Flat and Material styles, yet it's colorful and easy to recognize. 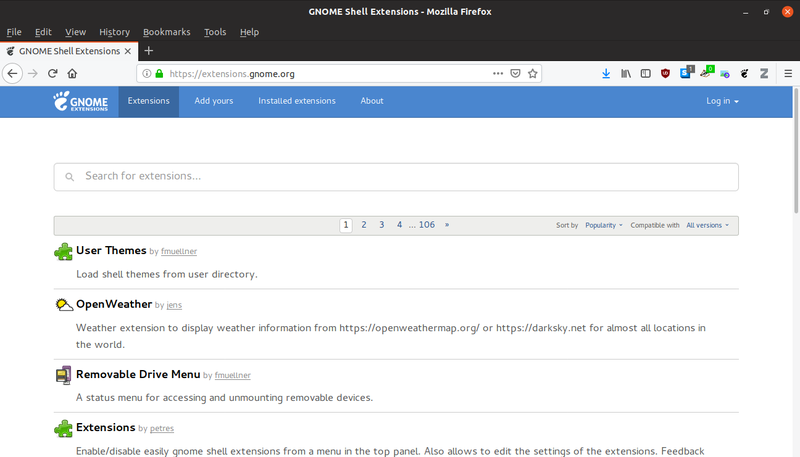 This short tutorial will guide you to completely setup Yaru on Fedora Rawhide with GNOME 3.32. Enjoy! Simply click download link below and you will have a 18MB compressed file containing Yaru Theme Pack. 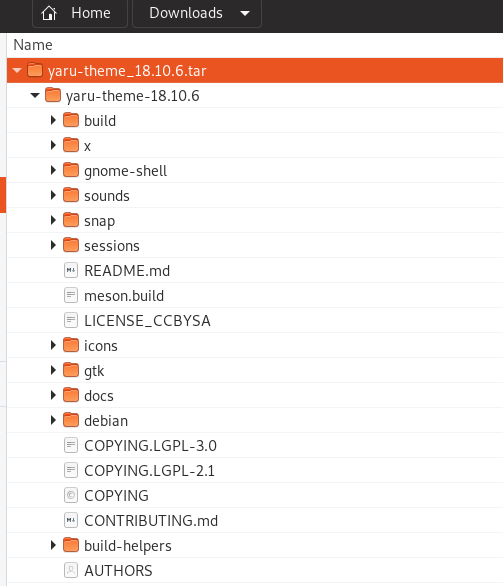 However, in case the package search page got dismissed someday in the future, you can always see Yaru on GitHub. 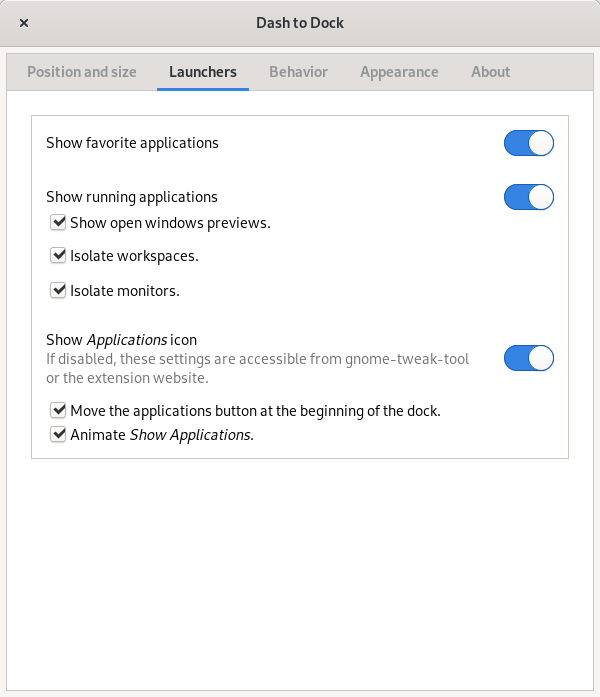 From the Application field on GNOME Tweak Tool, select Yaru. 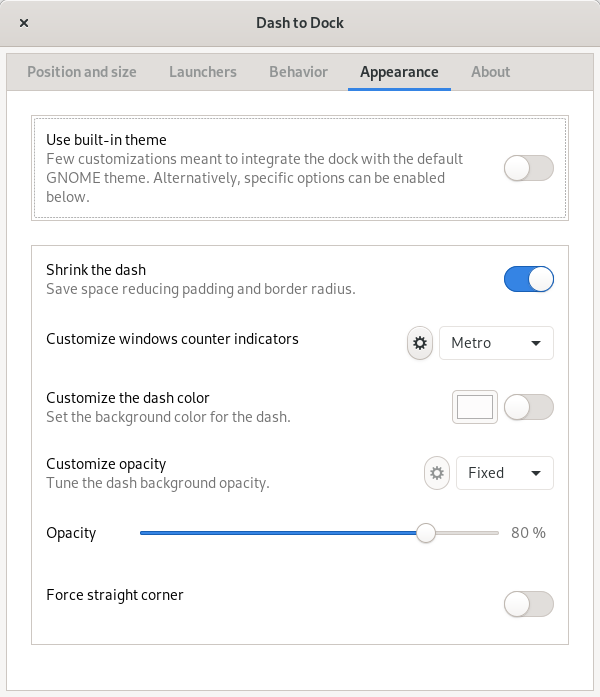 It's Yaru on GNOME Tweak Tool. It's also Yaru on the Tweak Tool. It's called Yaru as well on the Tweak Tool. 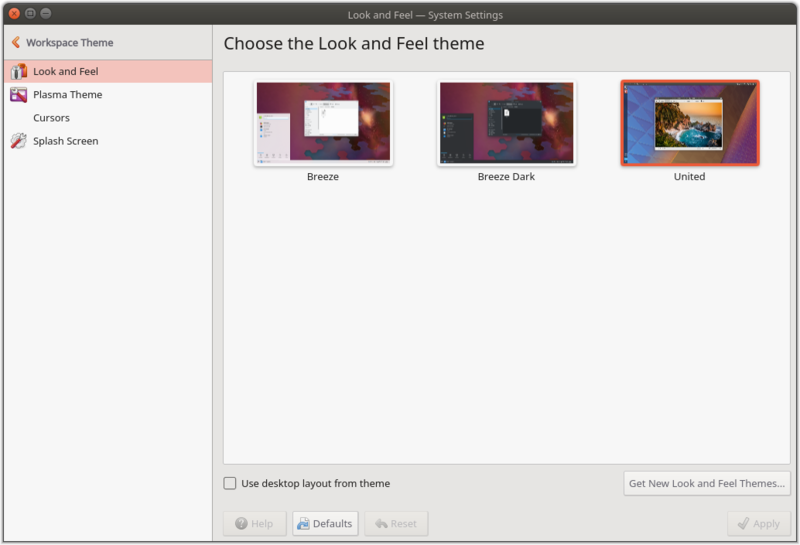 Just like how this theme displayed on Ubuntu, you will like trio of control buttons appears. 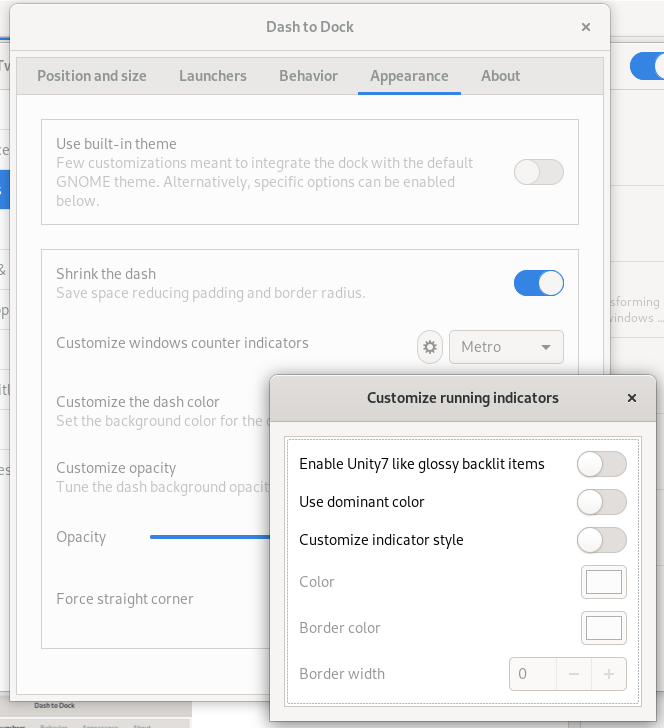 Go to GNOME Tweak Tool > Window Titlebars > enable Maximize and Minimize. Now your Fedora should look like below. 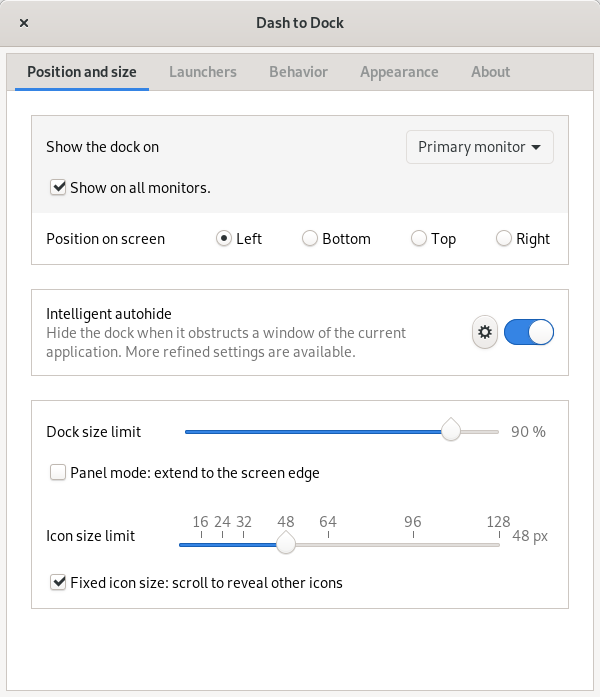 However, if you are wondering about the clock position and speed indicator there, see my latest Extensions for 3.32. Happy tweaking! Although the 19.04 is still not officially released this March, but even today we can download the development version and run it (LiveCD) on our computer. 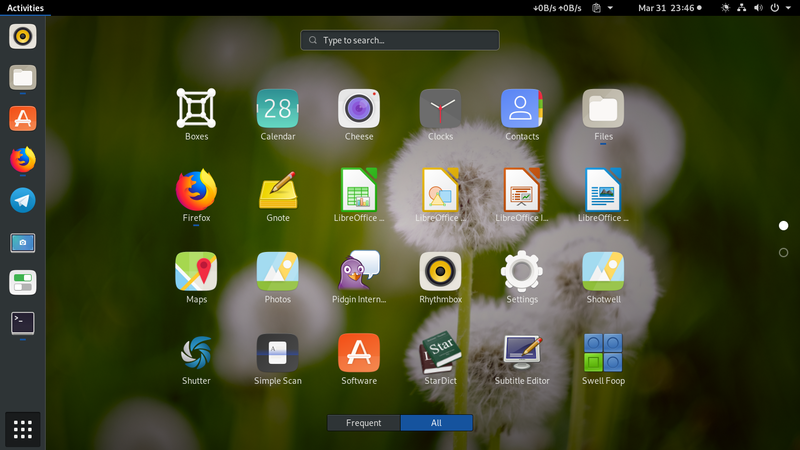 We find that it includes the 3.32, the latest version of GNOME desktop environment. I want to highlight some interesting aspects of it on Ubuntu as we saw it on Fedora Rawhide few days ago. 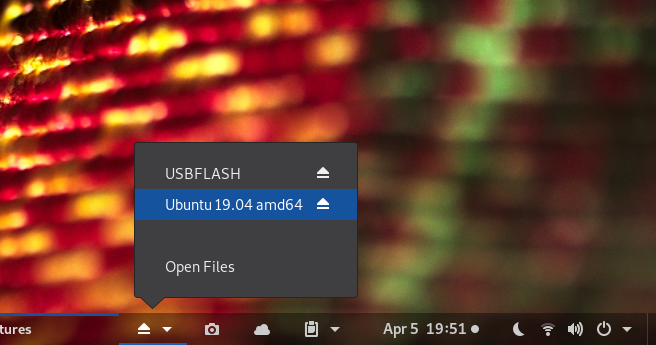 I suggest you to download the 19.04 daily-live ISO and quickly test it, I believe you can feel the performance improvements especially how quick it's now to open the start menu and it's now even quicker to search files on Nautilus. Here we go. Happy testing! 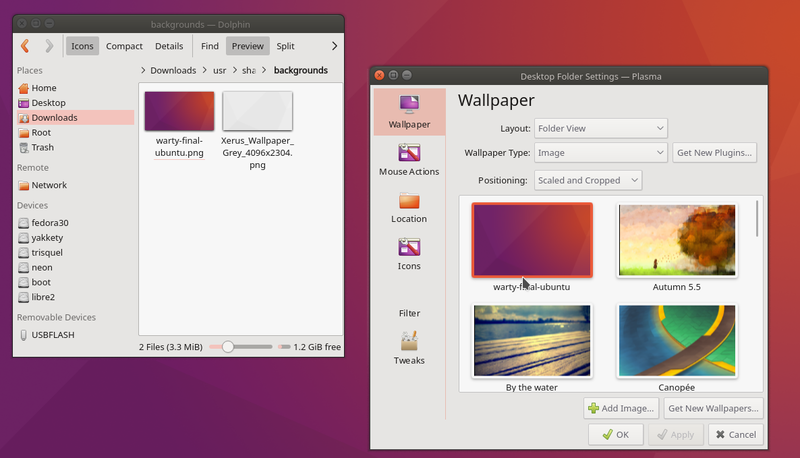 This is the desktop with original wallpaper of Ubuntu 19.04. 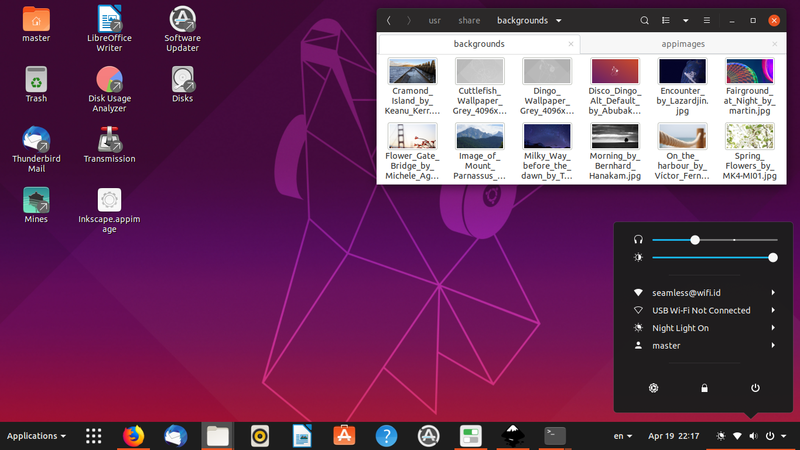 You can start paying attention to the left vertical panel, icons on desktop area, and of course the new wallpaper. 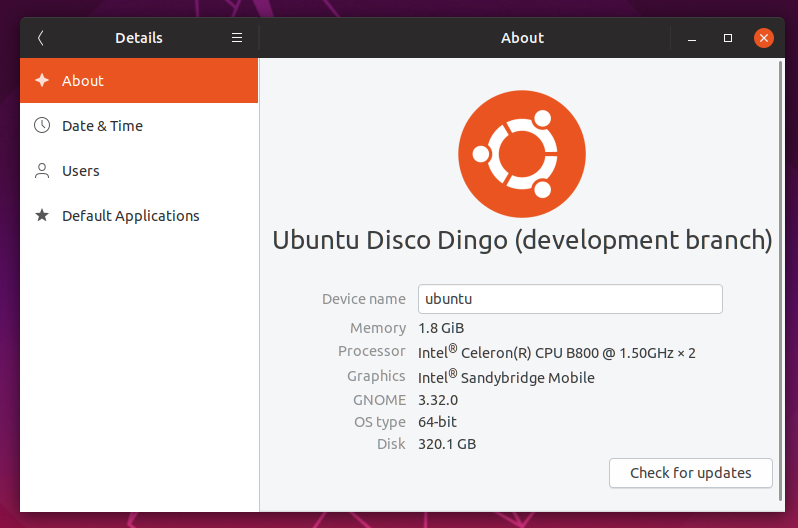 By the way, 19.04's codename is Disco Dingo. 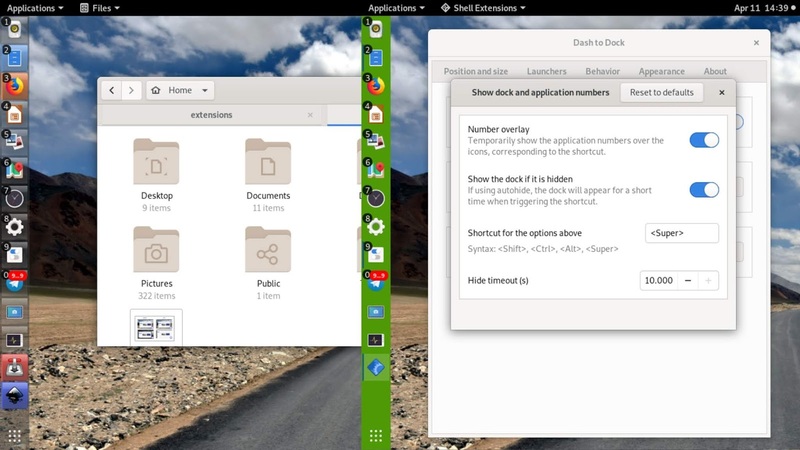 Default GNOME 3.32 as we saw on Fedora Rawhide is not equipped with vertical panel on left. 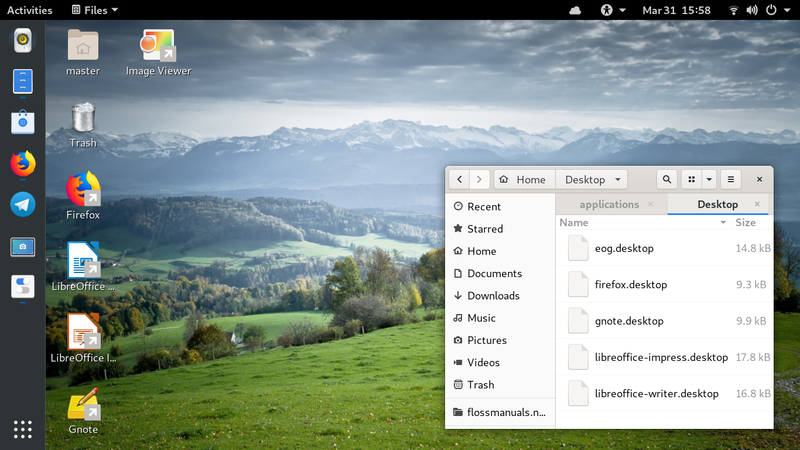 And, vanilla decoration theme is grey (Adwaita theme) not black (Ubuntu's Yaru theme). 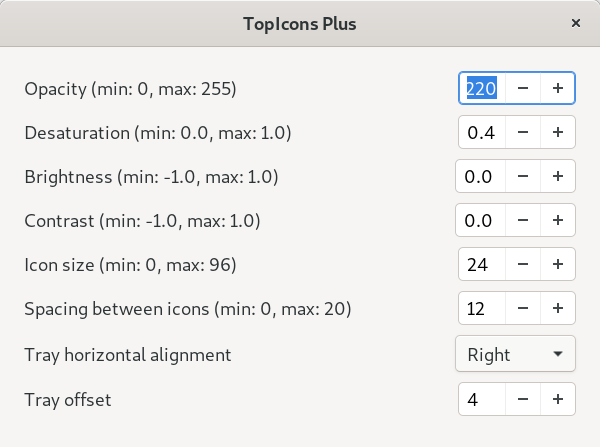 If you look closer, control buttons are also different, default one shows only close button, while 19.04's one shows fully close-maximize-minimize. Start menu animation is now smoother and quicker. I can say I don't feel same slowness like before compared to 3.30 and 3.28 as my laptop now renders it better. Try it and confirm this yourself. 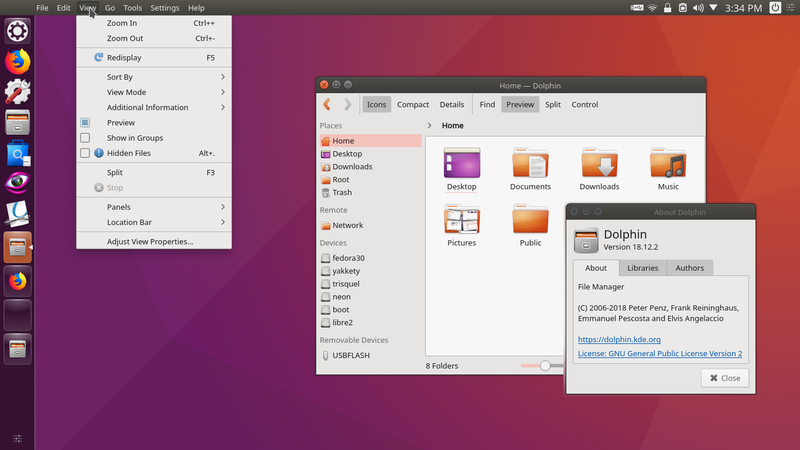 Hot corner (top-left) is disabled by default on GNOME on 19.04 but it's actually enabled on the vanilla one. If you push mouse cursor to that corner, on the 19.04 nothing happens, but on Fedora Rawhide it opens desktop overview (same as pressing Super key). 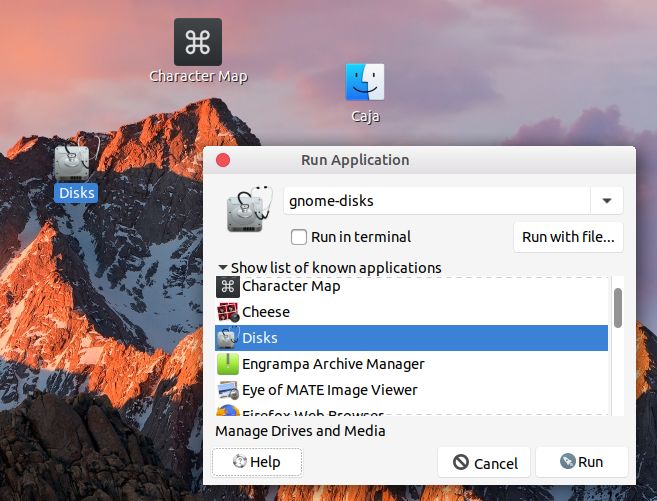 Fortunately, GNOME 3.32 on the 19.04 is already paired with Desktop Icons extension (by Carlos Soriano). 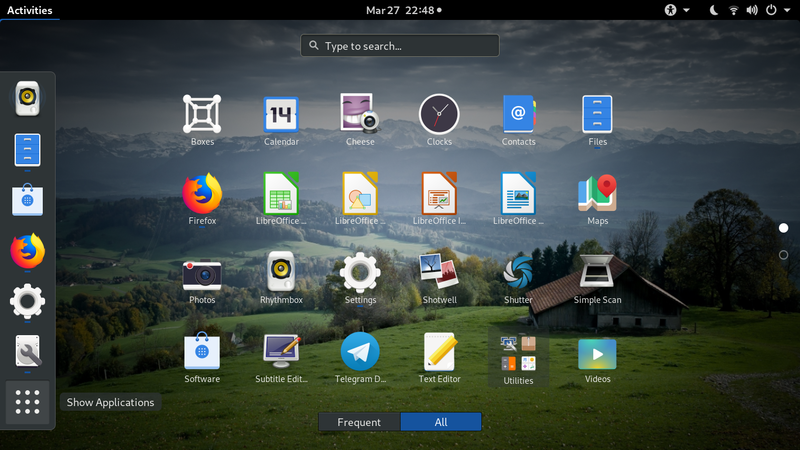 This way, we can put our favorite apps, documents, folders on desktop once again (just like KDE, Windows, macOS, and Android). 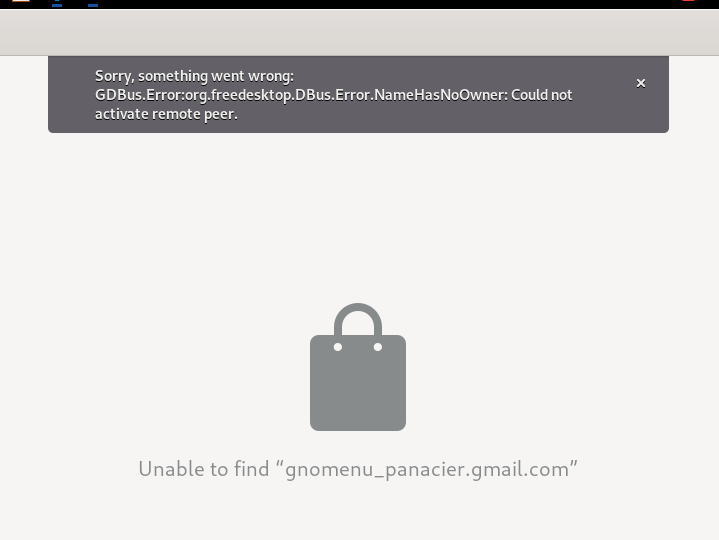 However, vanilla GNOME today (i.e. 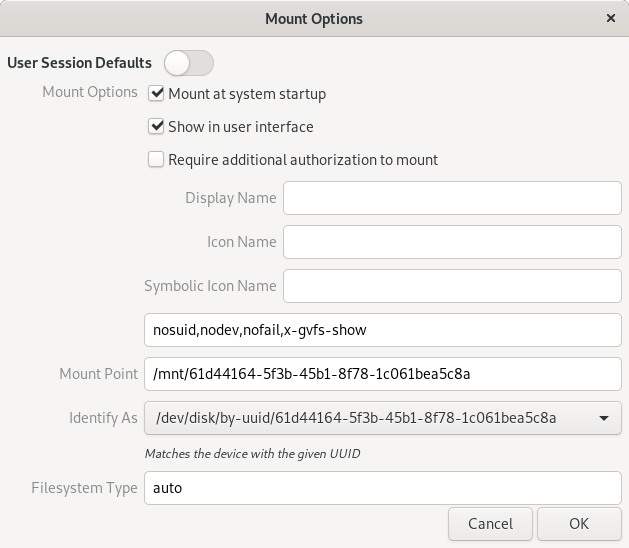 on Fedora Rawhide) does not allow you to put icons on desktop. 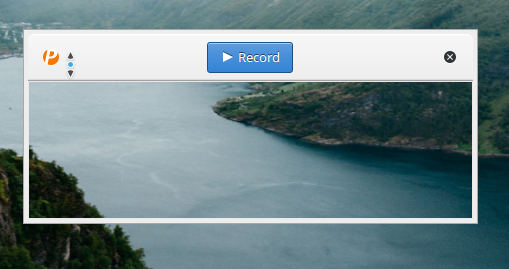 Once again, Nautilus changed, there is no toolbar anymore. 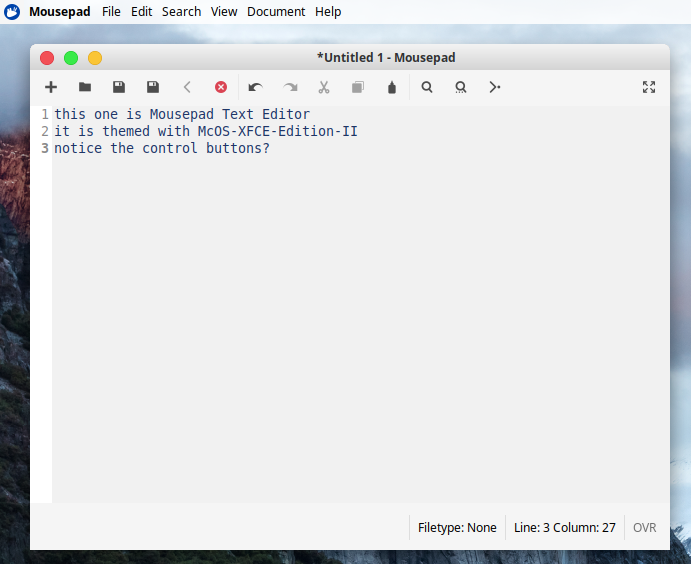 Now all buttons are placed on title bar ("header bar" in GNOME terminology) right on left side of control buttons. 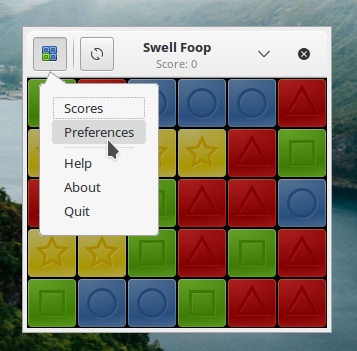 When you run Nautilus, you will not find "Preferences" button anymore on desktop top panel as it's also moved into hamburger button on title bar. 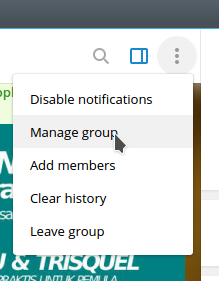 So, now, it's one button (Search) plus one toggle (Thumbnail/List) plus one pull down menu (Zoom, Sort by, Reload) plus one hamburger button (New Tab, Copy/Cut/Paste, Preferences). 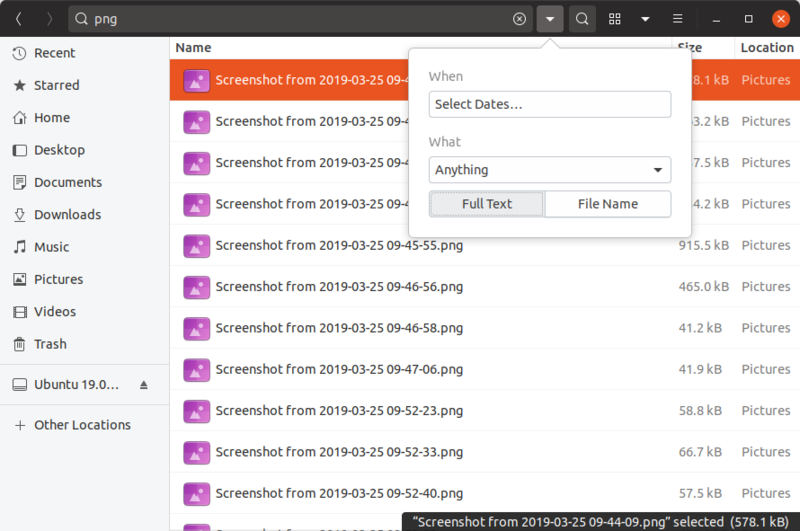 File search is now faster than before. Try it. The search bar is also repositioned now on the title bar rather than toolbar below it. 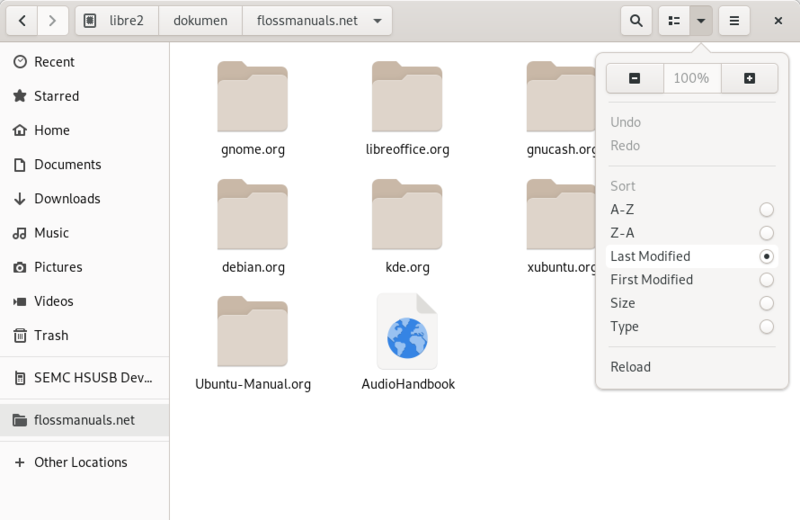 And, personally I didn't know 'right-click to format' feature for Disk Drive was available in Nautilus File Manager since a long time ago. 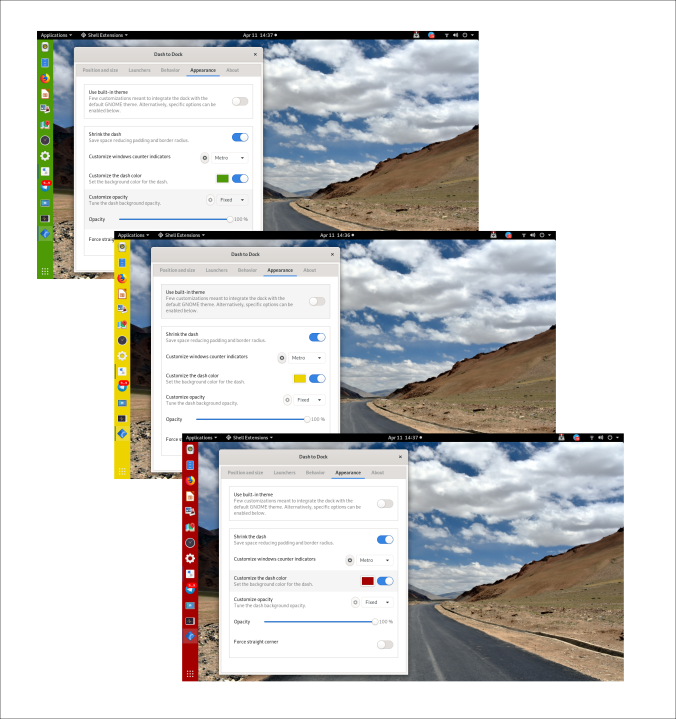 See Nautilus changelog for version 3.7.90. 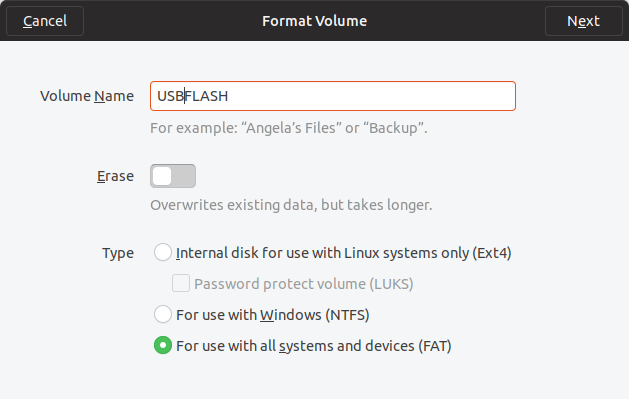 By this, of course we now can easily format our USB Flash Drive right from our beloved file manager by a click. 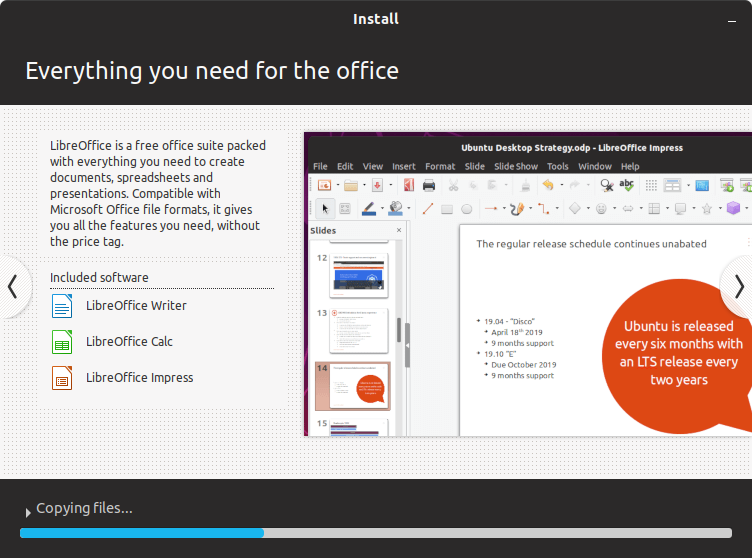 I can imagine how interesting to work (at home and office) with Ubuntu 19.04 GNOME 3.32 next time. 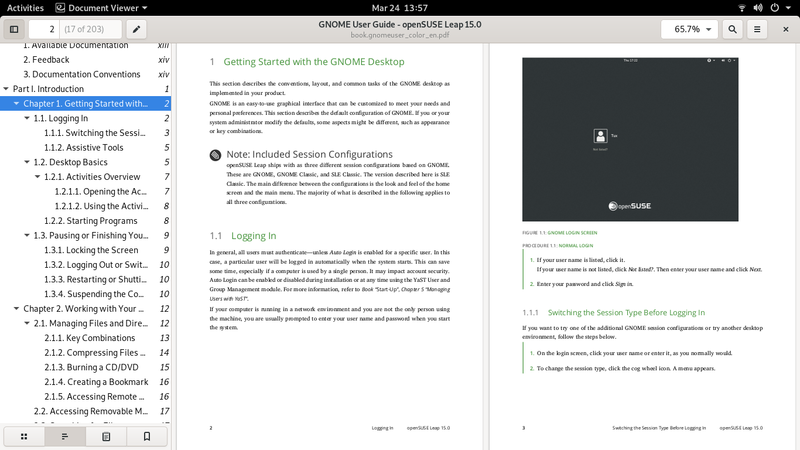 Of course LibreOffice is not a part of GNOME. 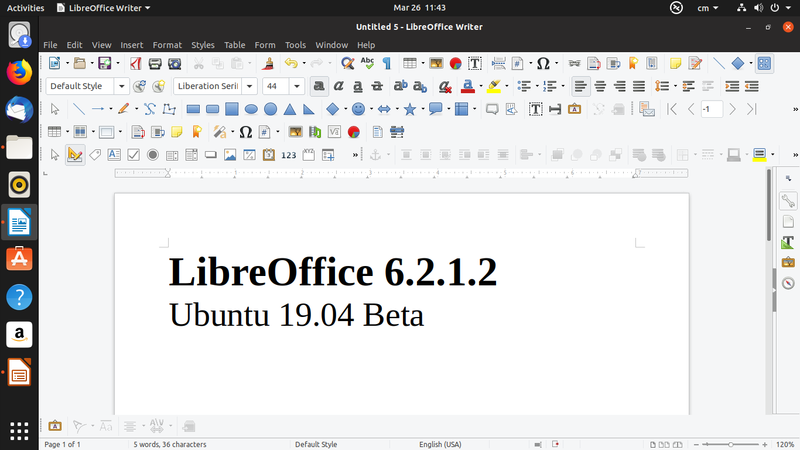 But LibreOffice looks good on GNOME 3.32 with Ubuntu's Yaru theming. 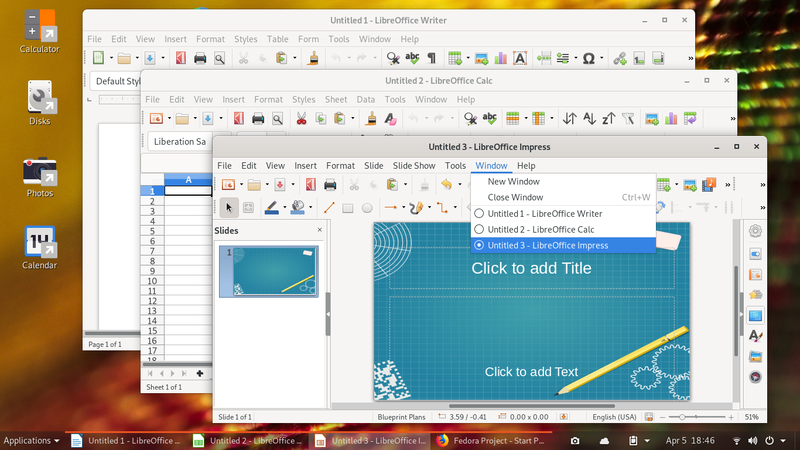 See screenshot below: Writer showing with a lot of toolbars (I enabled them) to show no conflict with the desktop theme. 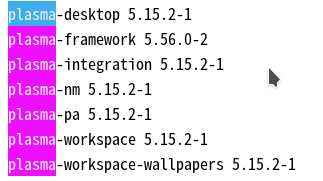 Based on daily built ISO Image I downloaded, these are GNOME Apps included. Please keep in mind that these might change over time as the 19.04 is still in Beta. 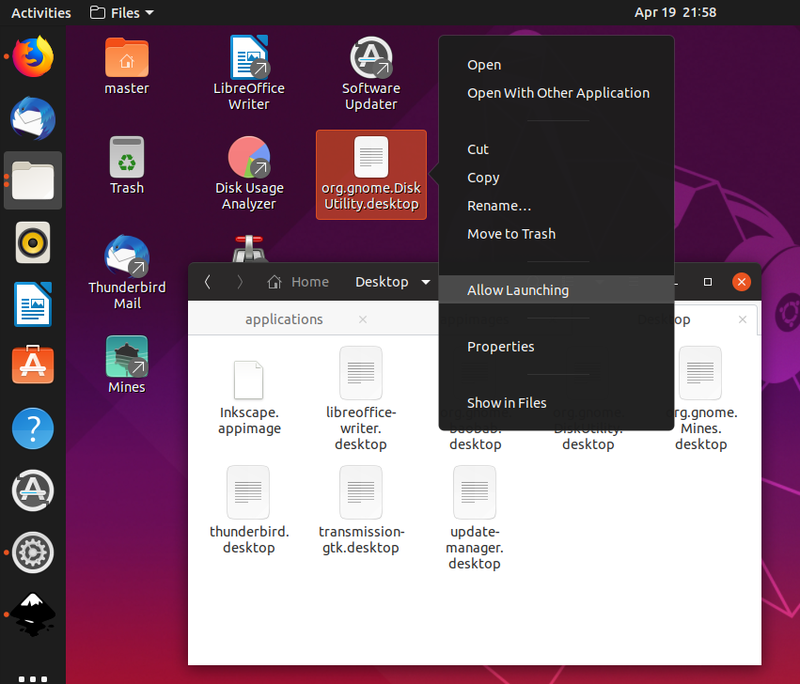 I am really glad I can find latest GNOME on Ubuntu (LiveCD) without waiting for any repository so I can run and test it immediately without changing my computer. I just need to go to cdimage and download the daily-live current ISO and run it from my USB Flash Drive. I love it! 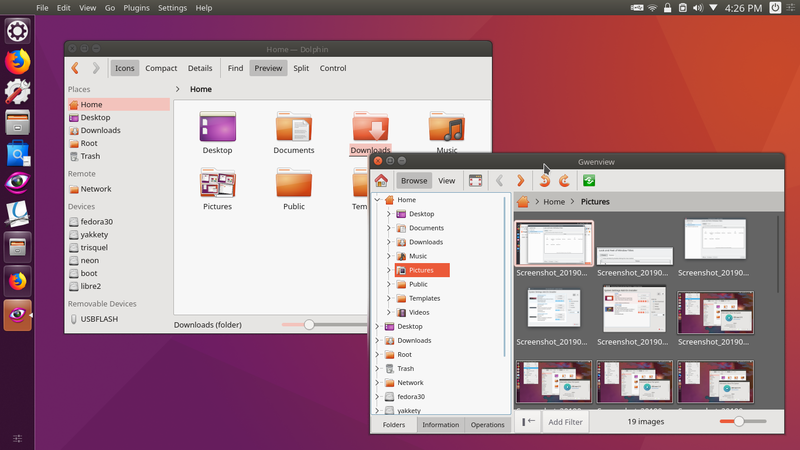 I would like to say thank you to all Ubuntu developers and GNOME developers who made this reality. My personal comment is that this 19.04 daily ISO I tested is pretty stable on my laptop (Acer Aspire One 756: Pentium, 4GB) both in LiveCD mode and permanently installed. 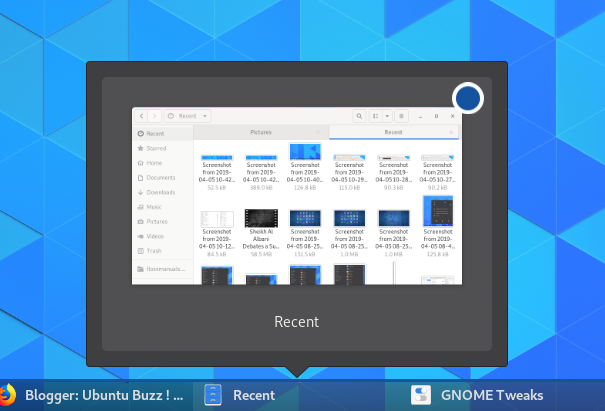 GNOME runs smoothly. 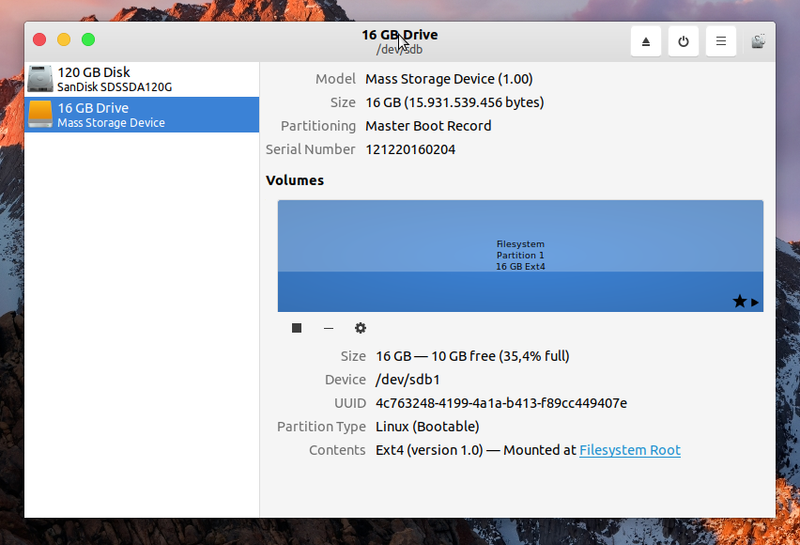 I like how this GNOME running less heavier today on my laptop compared to the previous Stable versions. I feel happy with this version on 19.04 and I am waiting for the final release next April. 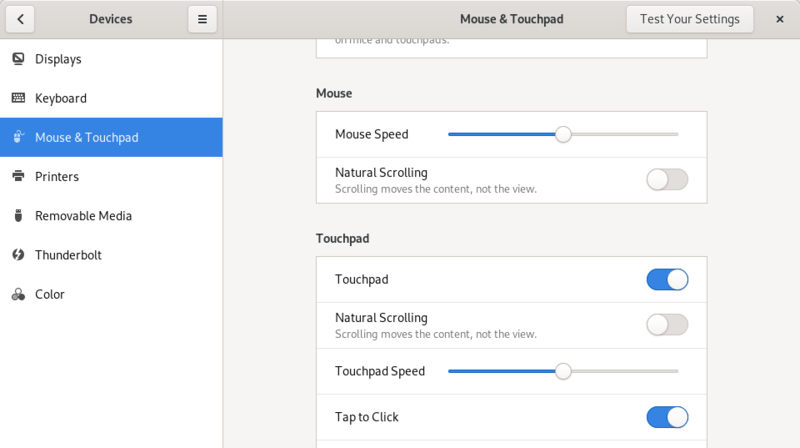 I hope you enjoy GNOME 3.32 just as I enjoy it! Happy testing! 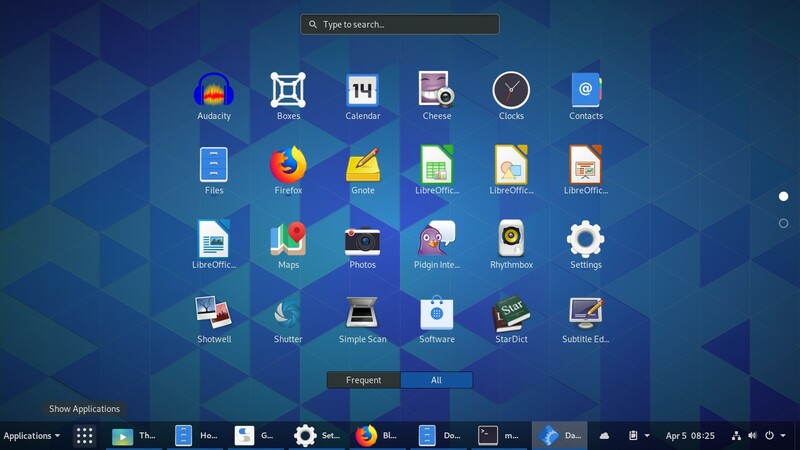 We are getting excited as Plasma 5.15 has been released (since 12 February 2019) and we soon want to test it. I have tested it on Neon and it is lightweight and very impressive. 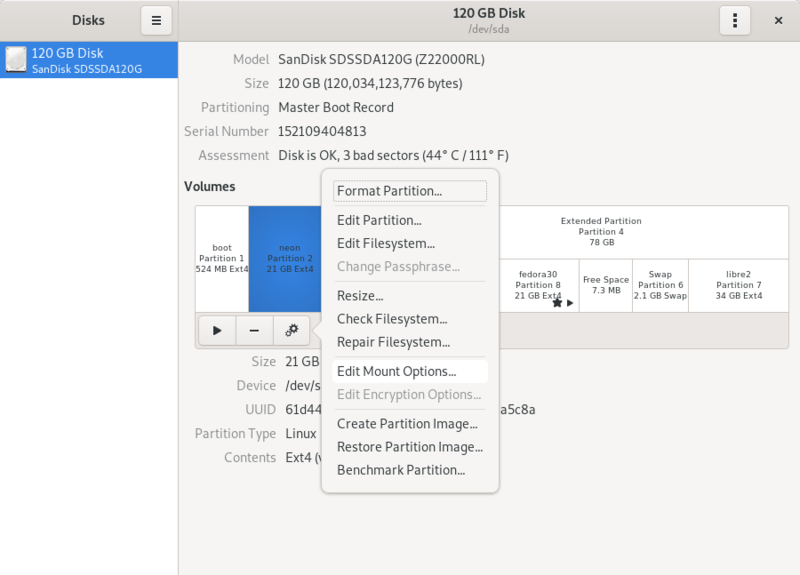 This list is for you wanting to test Plasma as quick as possible by downloading GNU/Linux distros with built-in Plasma 5.15. They are Neon 5.15, Kubuntu 19.04, Chakra, KaOS, and openSUSE Tumbleweed. You can download the ISO images from links I mentioned below and quickly run a LiveCD session of them. 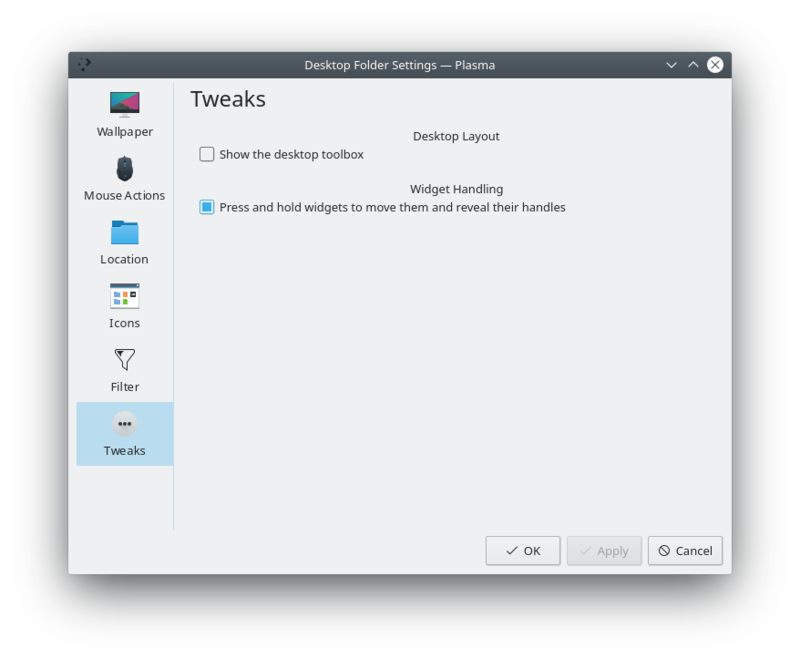 Additionally, I also mentioned Kubuntu 18.10 and Fedora 30 on the separate section below as they don't bundle it but make it available through repositories. Anyway, go ahead and happy testing! I finished this article in Sunday 17 March 2019. As you know, GNU/Linux distros are normally developed in very very high speed so what I mentioned today (package versions) may be obsolete soon. 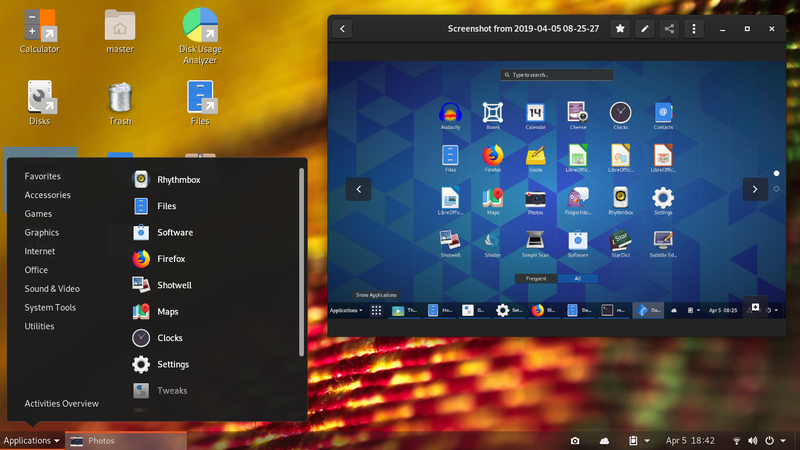 For example, you find Plasma 5.15.3 today on Kubuntu 19.04 daily, then you may find it some days later got updated to 5.15.4. But by mentioning related links on every distro below, I hope you can obtain more information when you find my data is no longer correct in the day you do searching. Go ahead! Manifest file (.manifest) is a table of contents of an ISO image file. A manifest lists package names and their versions from it. Manifest is very useful for us to determine whether a package is included or its version is new enough in an ISO. 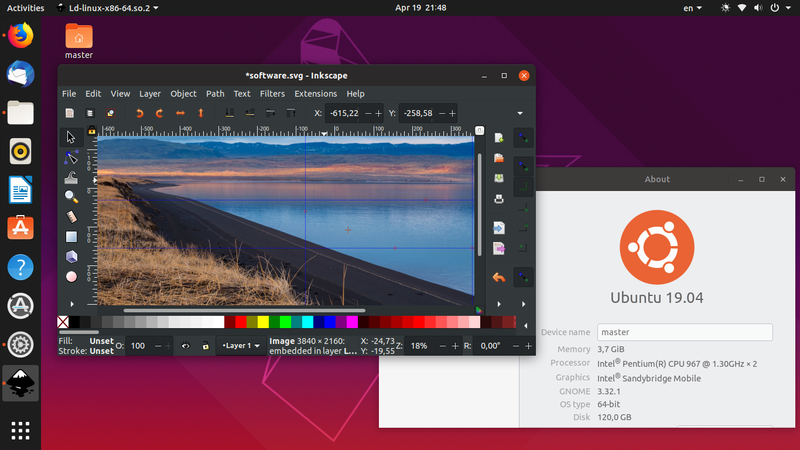 Distros known to have manifests are Ubuntu and Flavors, Neon, and Manjaro. 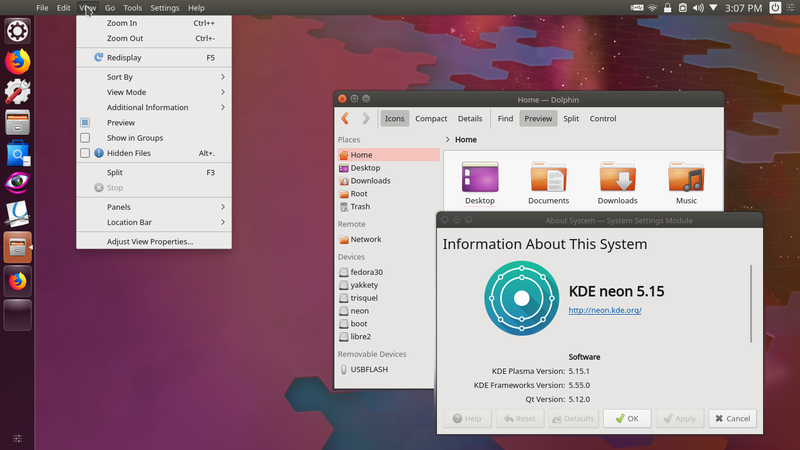 The first choice is of course KDE neon operating system as it always brings latest Plasma right from the KDE Project itself. 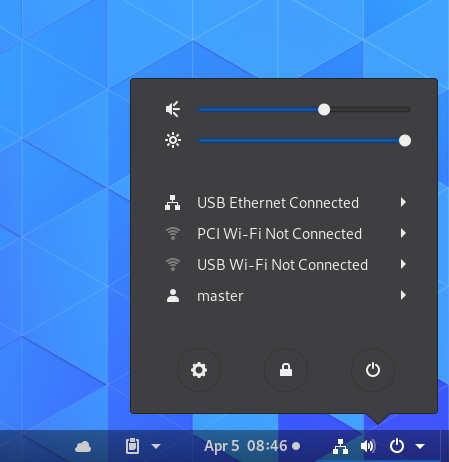 Latest neon today (17 March 2019) contains at least Plasma 5.15. 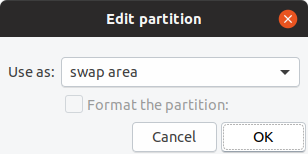 Download it from https://files.kde.org/neon/images/neon-useredition/current. 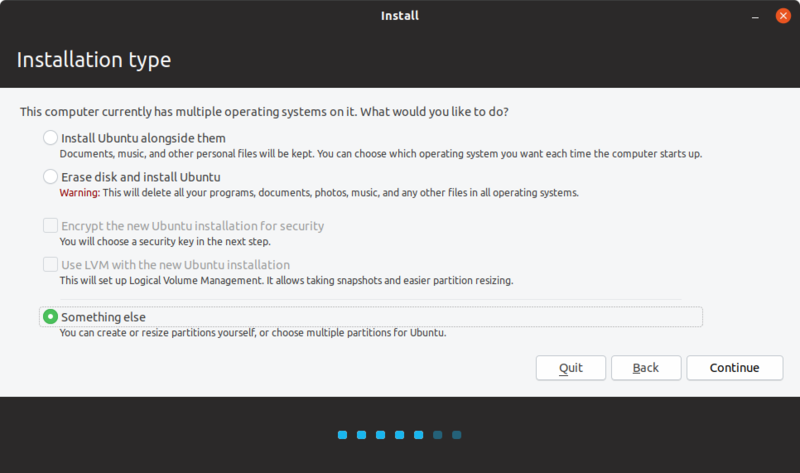 You can run it as LiveCD or install it to your computer system. The 19.04 has not been released yet. 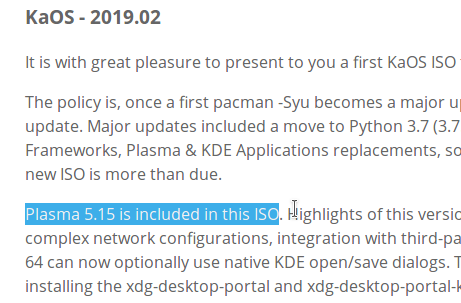 But the daily ISO image is already available and it contains Plasma 5.15.3 (at least today 17 March 2019). 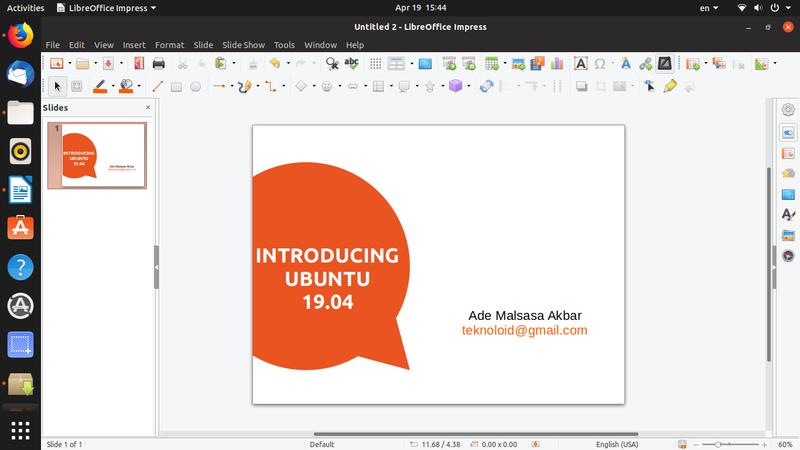 Download it from http://cdimage.ubuntu.com/kubuntu/daily-live/current. 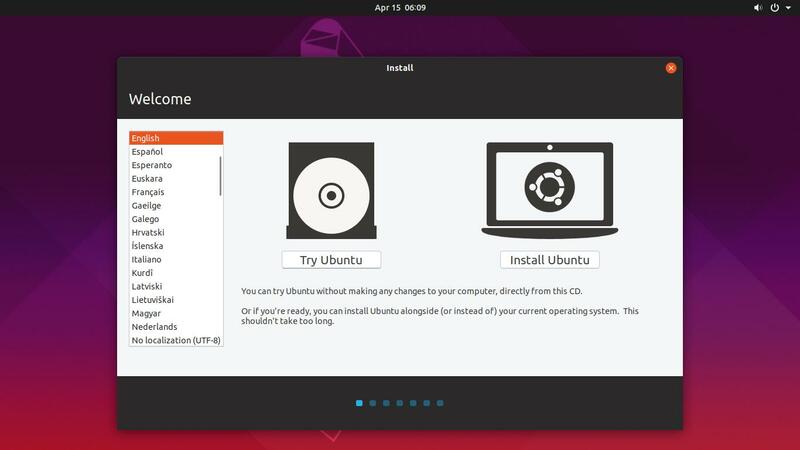 You can run it as LiveCD or even install it to your computer system. 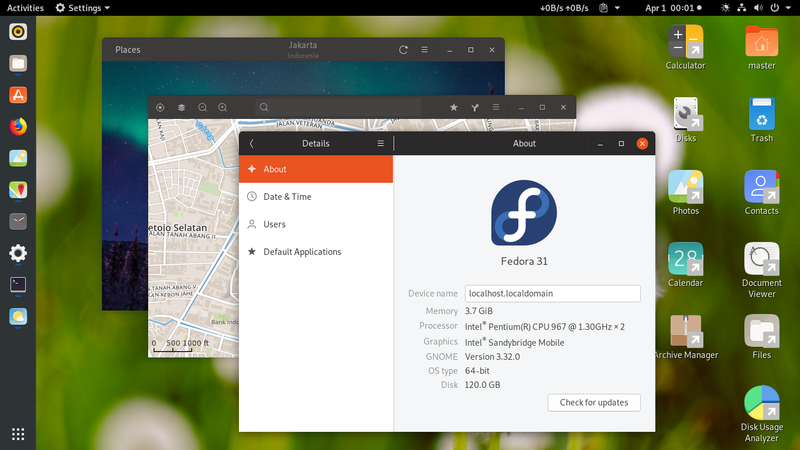 As for Fedora, at this moment you can test pre-release version of Fedora 30 to get Plasma 5.15. 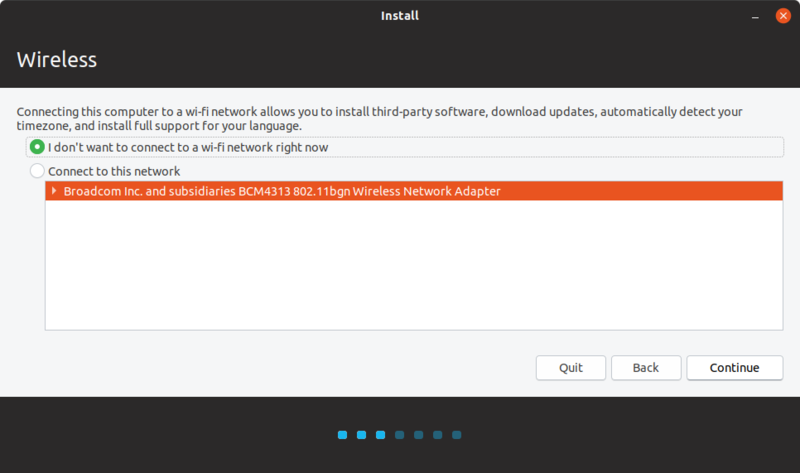 Download it here Wiki Fedora. Read more here (package search). 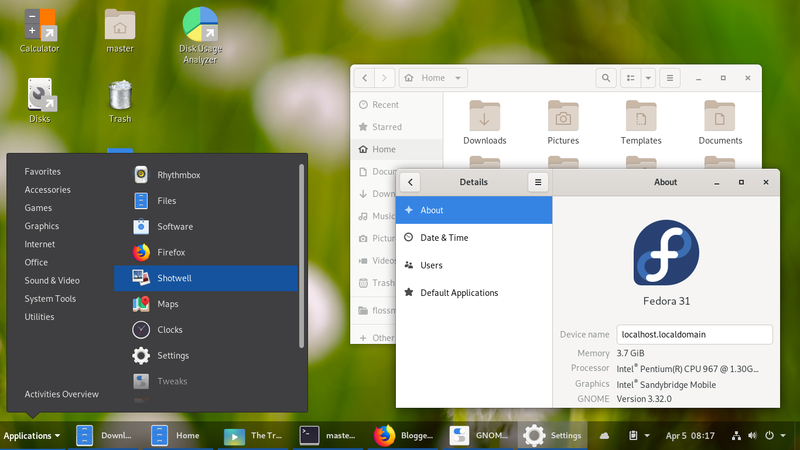 Manjaro KDE has Plasma 5.15 already. 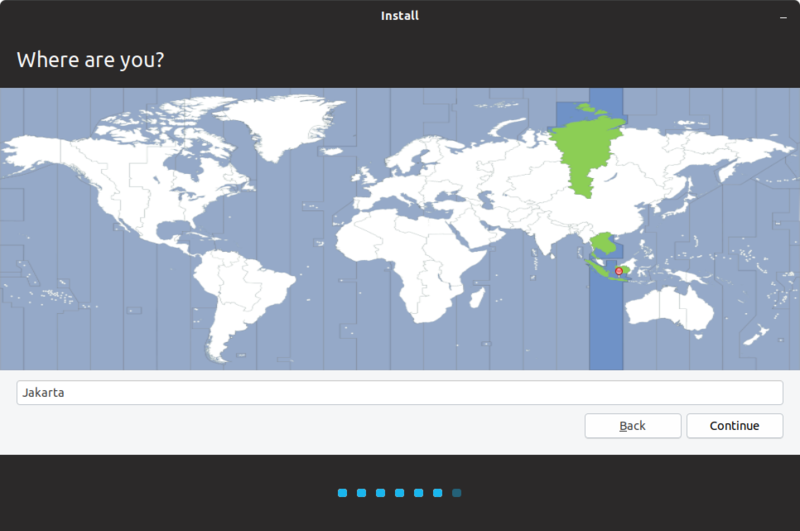 Download it here https://manjaro.org/download/kde. Read more here (manifest file). 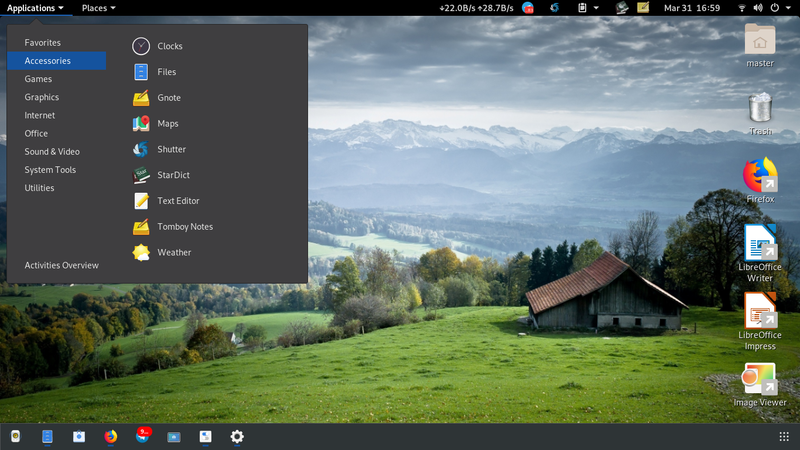 Manjaro GNU/Linux is a rolling-release desktop distro based on Arch with pacman package manager and it has an official KDE flavor. 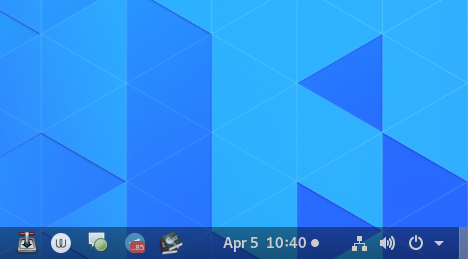 Chakra on the testing release got Plasma 5.15. Download it here https://rsync.chakralinux.org/releases/testing/?C=M&O=D. Read more here (packages list) and here (forum announcement). 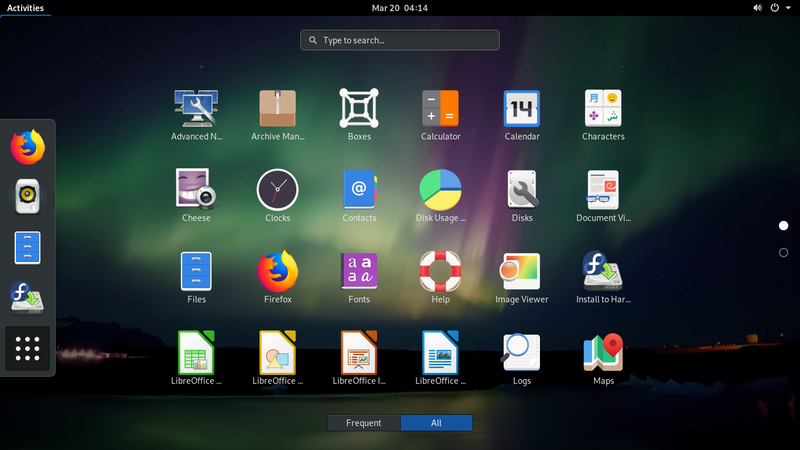 Chakra GNU/Linux is a KDE-dedicated rolling-release desktop distro derived from Arch with pacman package manager and provides only KDE edition. 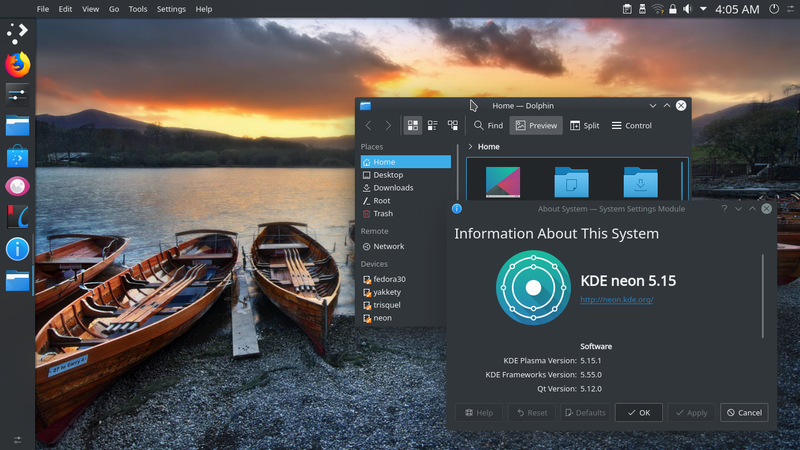 Latest bleeding edge ISO of KaOS (dated February 2019) has Plasma 5.15 already. Download it from https://kaosx.us/pages/download. Read more here (package search) and here (release notes). 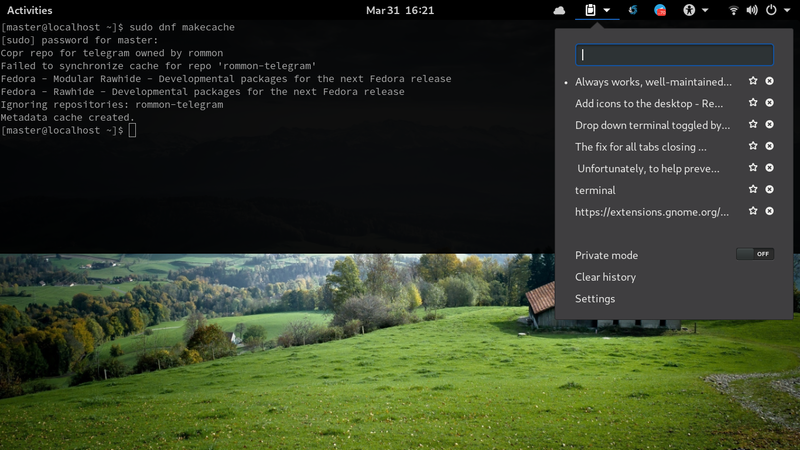 KaOS GNU/Linux is a KDE-dedicated rolling-release desktop distro derived from no other distro with pacman package manager. 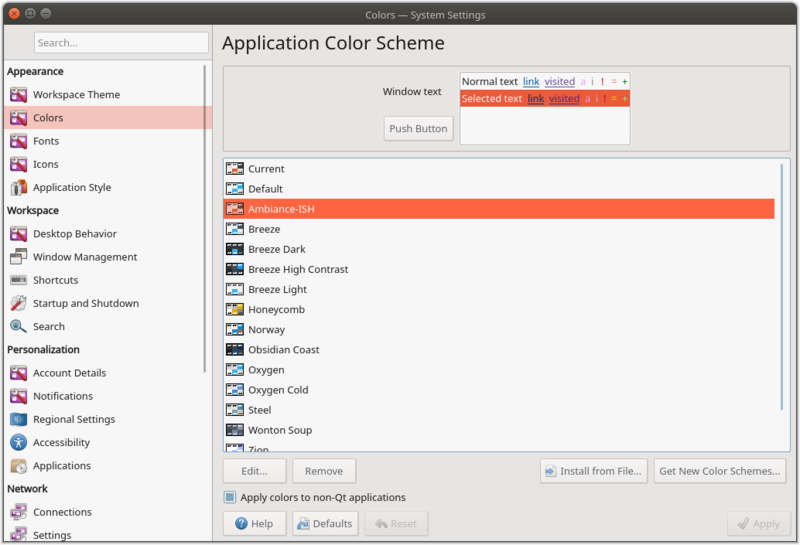 Same as Chakra, KaOS only provides KDE edition. 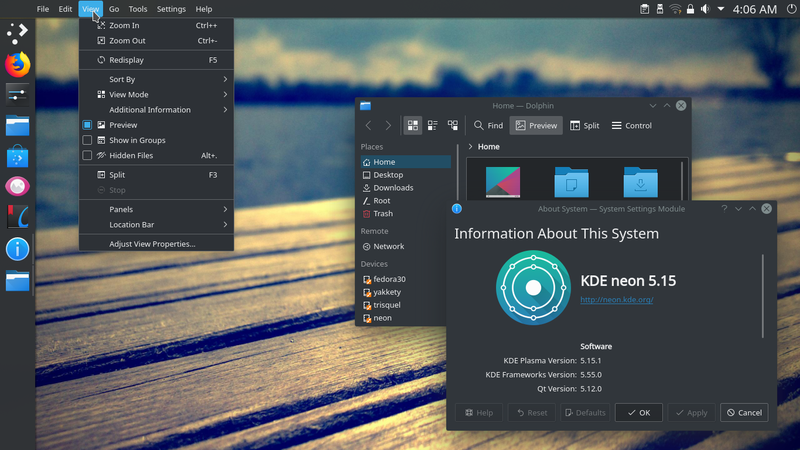 Krypton is KDE-dedicated version of openSUSE rolling-release 'Tumbleweed'. It's available in both 32-bit and 64-bit. 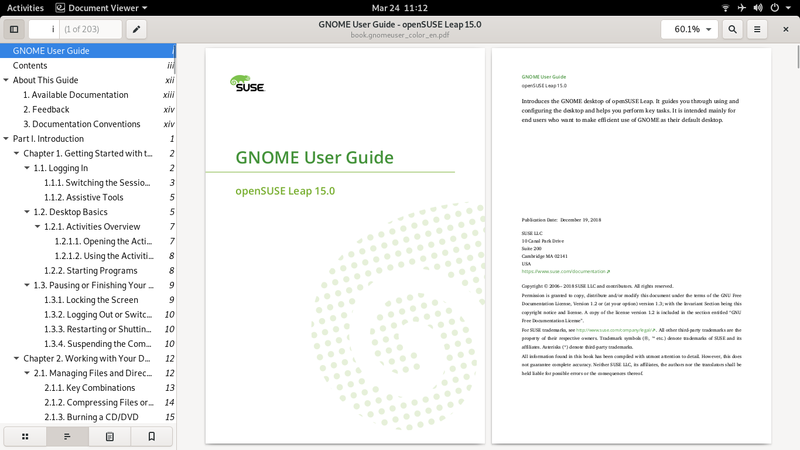 Download it from http://download.opensuse.org/repositories/KDE:/Medias/images/iso/?P=*Krypton.*.iso. The packages are promised to be always the latest. 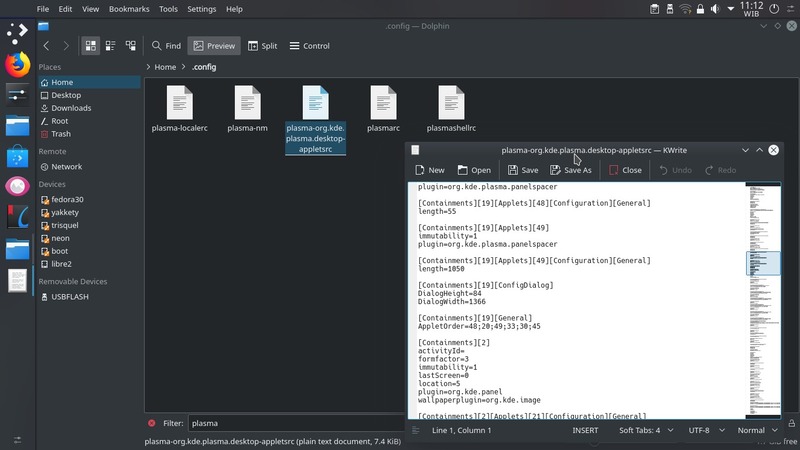 At this moment, Krypton got Plasma 5.15 already. You can run it as LiveCD or install it on your computer. 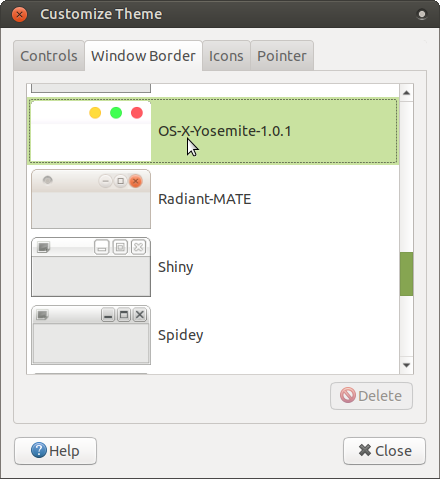 Tumbleweed is the rolling-release version of openSUSE which always has the latest version of software packages. openSUSE Krypton is a derivative of Tumbleweed. 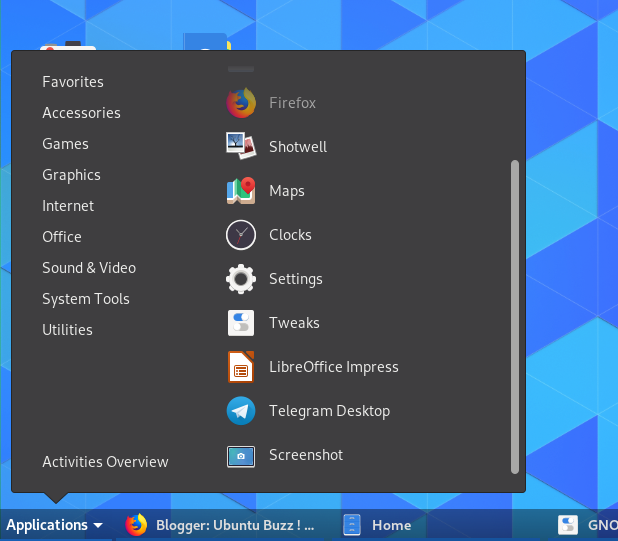 This section mentions some other distros which do not include Plasma 5.15 right within ISO but made it available in the repository. 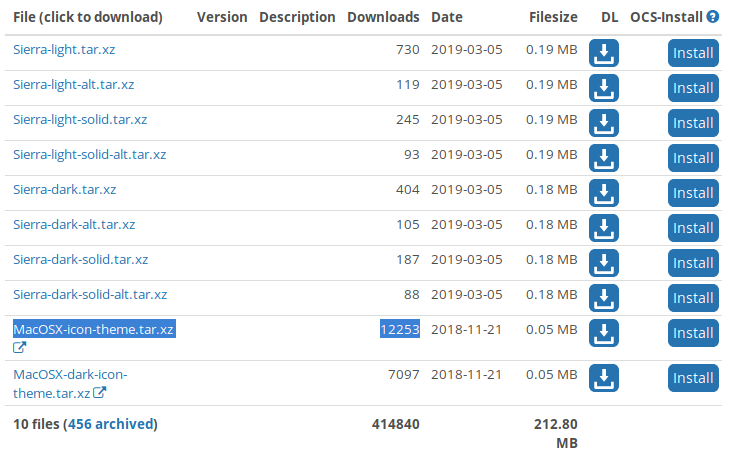 Cosmic release has Plasma 5.15 already available in the Backports repository. 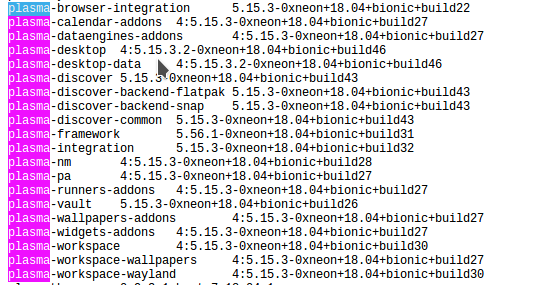 Up to today (16 March 2019) there is still no 5.15 available for Bionic nor Xenial. I recommend you to do this upgrade on a testing computer and not on your daily use desktop. Caution: upgrading a system with proprietary graphics like Nvidia or Amd often causes problems like broken system or login failure. Proceed this with your own risk. 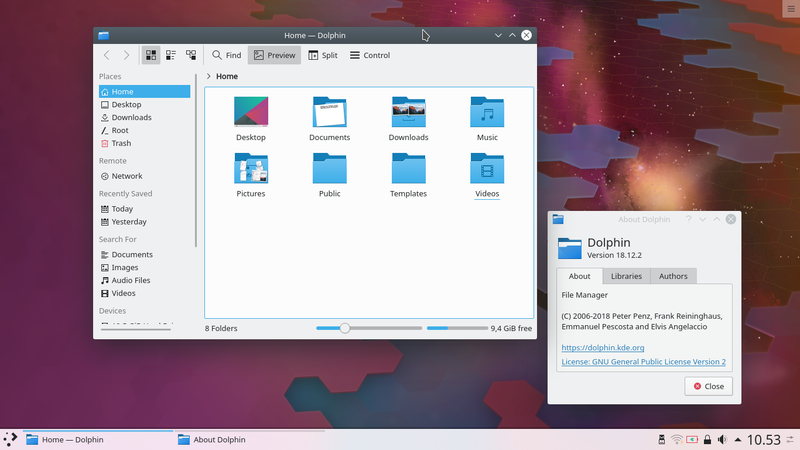 PCLinuxOS just recently announced the availability of Plasma 5.15.3 on its repository. 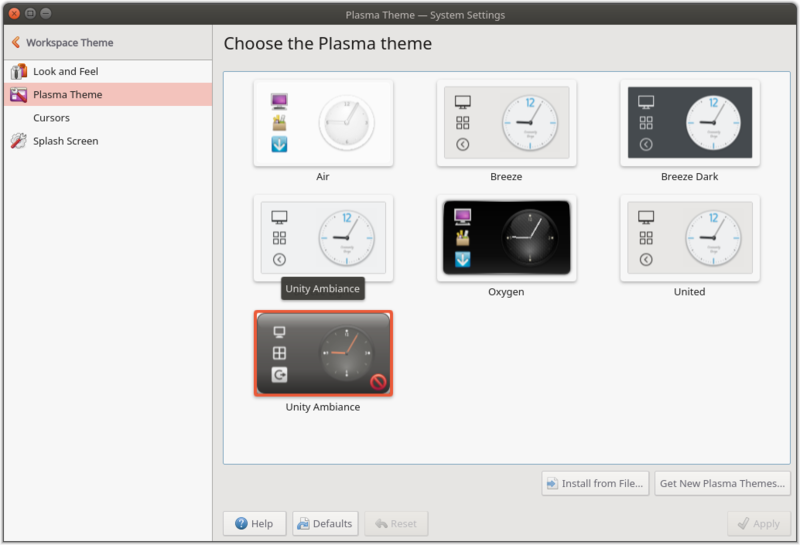 If you have it installed, you can upgrade your system to get the latest Plasma. 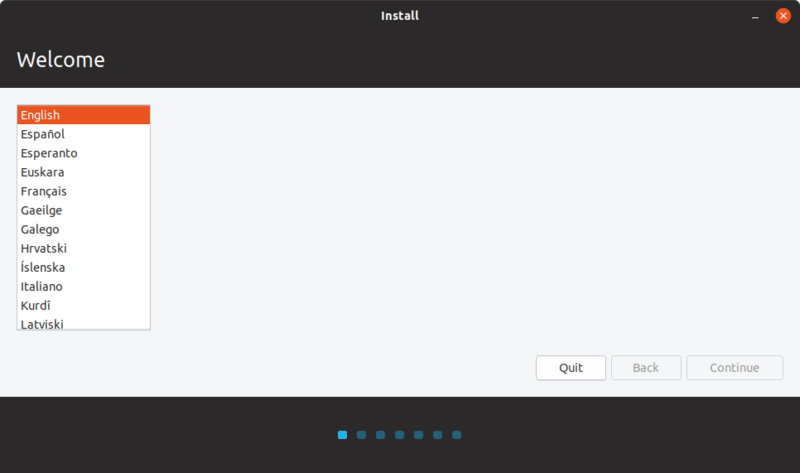 If you don't, first download PCLinuxOS ISO and then install it and finally upgrade it. You can use Synaptic to upgrade your system as recommended by official wiki. 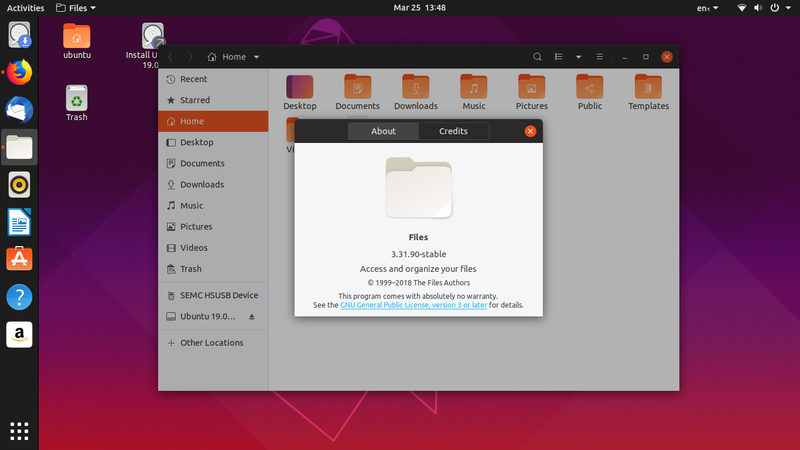 It would be nice if every distro provides .manifest file for every ISO image they have just like Ubuntu. It helps me a lot to know what packages and package versions within an ISO. For distro projects that have made it available, you did great and you all have my thanks. For distro projects that have not, you did awesome and thanks also, but I wish you could do it someday. 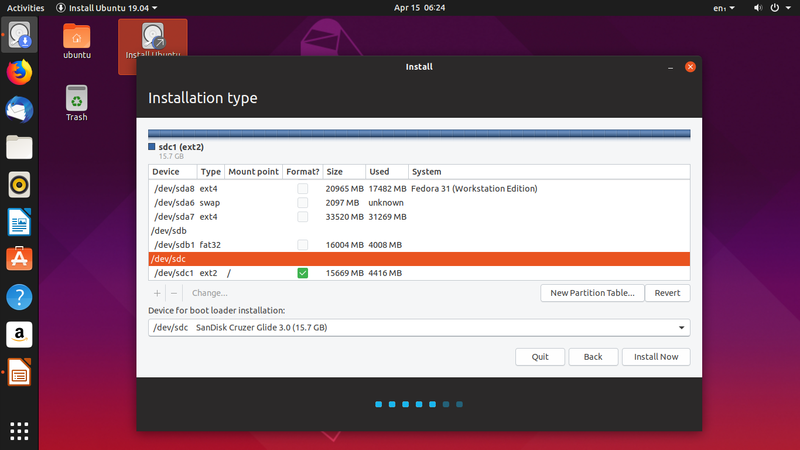 Finally, I hope Plasma 5.15 soon to be available on Ubuntu 18.04 and 16.04. 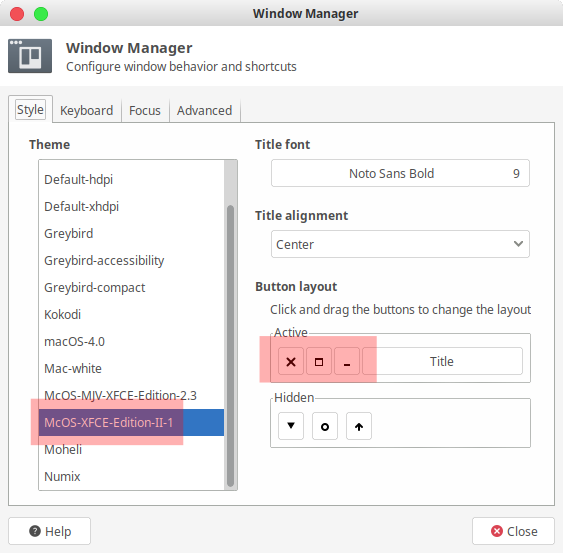 Continuing KDE, GNOME, and MATE customization the series, it's XFCE's turn being customized with a global menu and Capitaine theme pack. We will use an XFCE theme, a GTK3 theme, an icon theme, tweak the top panel a little, and then install Plank as the dock, and finish them up with some more tweaking. 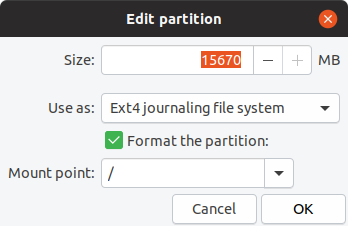 I practiced this on Xubuntu 18.04 with XFCE version 4.12. 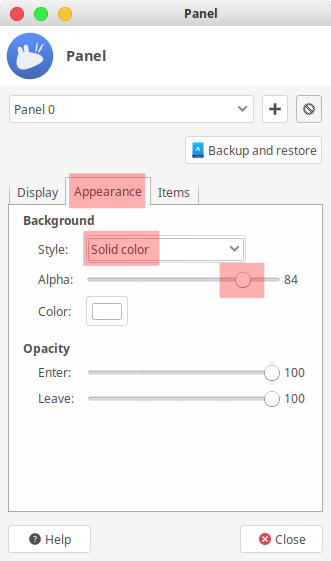 I wish this helps everybody especially you who just started customizing XFCE desktop. Happy tweaking! 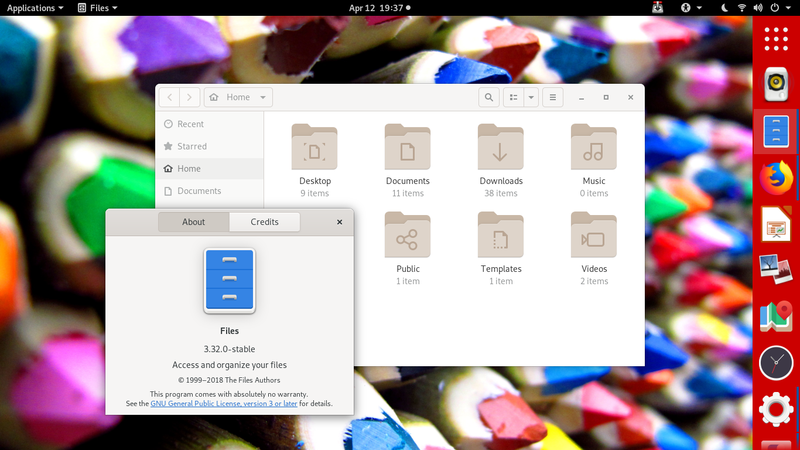 The goal of this customization tutorial is to make XFCE 4.12 to look like this. It will have a global menu on a transparent top panel, translucent dock with macOS-like icon theme, an El Capitane wallpaper, and of course the exterior (XFWM) and interior (GTK3) themes which resemble macOS. 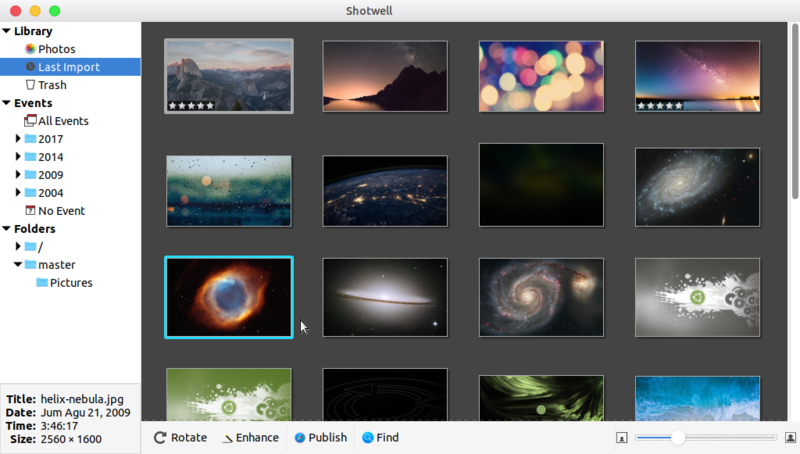 Just like previous tutorials, you can download macOS wallpapers from sites like 512 pixels. For this time I use El Capitan wallpaper. The theme is McOS-XFCE-Edition-II XFWM Theme. 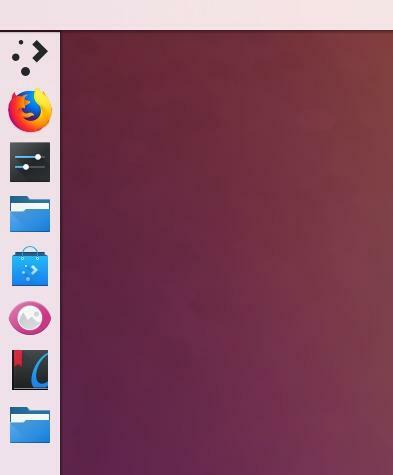 Download it from https://www.xfce-look.org/p/1210386. Extract it into ~/.themes and enable it from start menu > Window Manager > Style > McOS-XFCE-Edition-II. Then shift the control buttons to the left by dragging the buttons arrangement under the Button layout: Active section on the right. 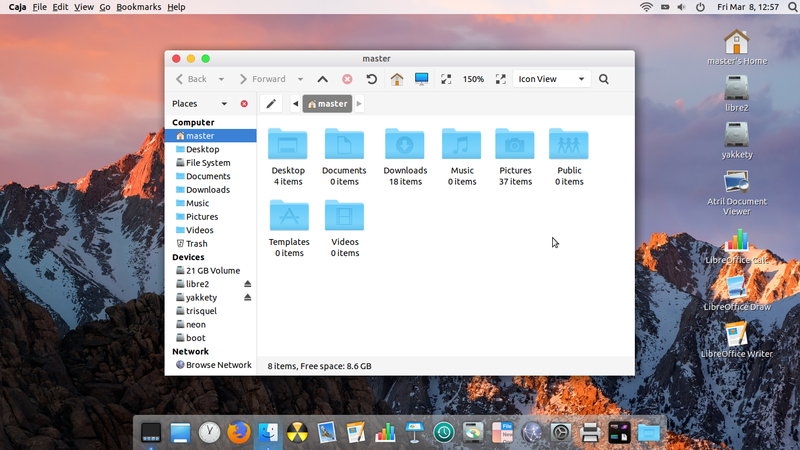 The theme is macOS Mojave GTK3 Theme. 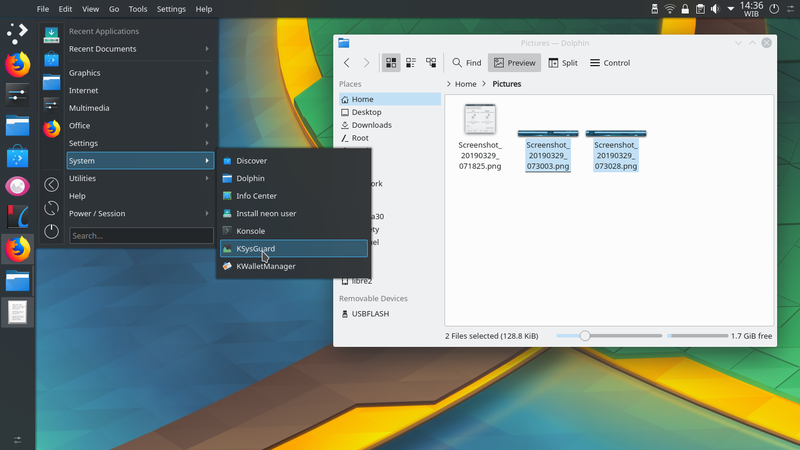 Download it from https://www.xfce-look.org/p/1226871. Extract it into ~/.themes and enable it from start menu > Appearances > Style > macOS-4.0 > close. The theme is La Capitaine. 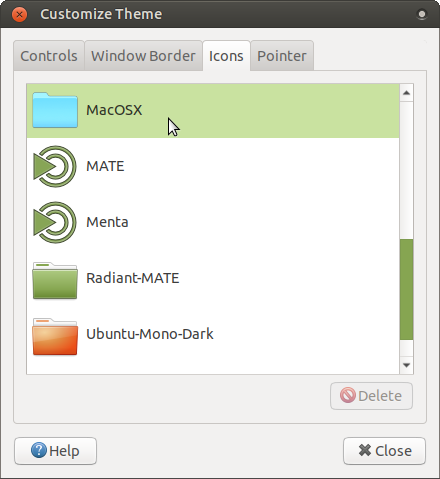 Download it from https://www.xfce-look.org/p/1148695. Extract it and copy the folder into ~/.icons. 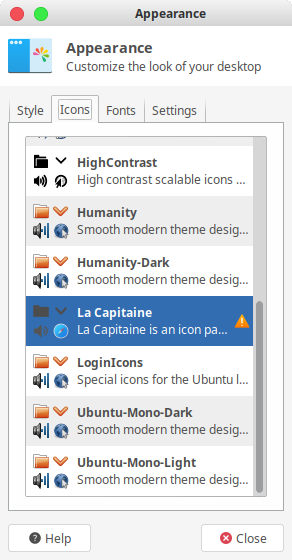 Enable the icon from the start menu > Appearances > Icons > La Capitaine > close. The theme is Mac Theme Round 3.1. 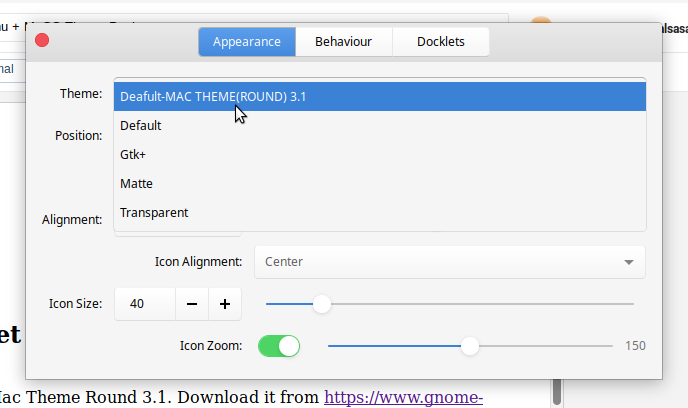 Download it from https://www.gnome-look.org/p/1201564. Extract it and copy the folder into ~/.local/share/plank/themes. 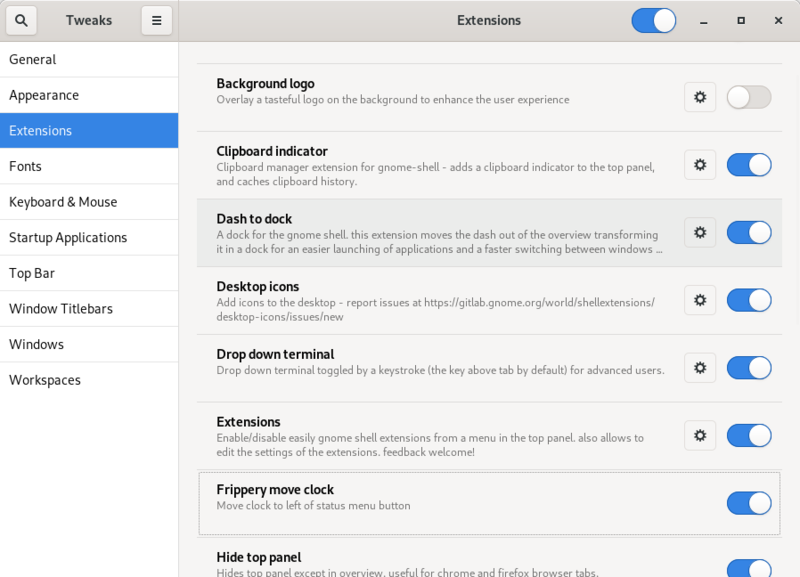 Enable it by right-clicking the dock > Preferences > Appearance > Theme: Deafult-MAC THEME(ROUND) [sic] > close. Up to this point you need to call Plank every time you started your system. That's ineffective. 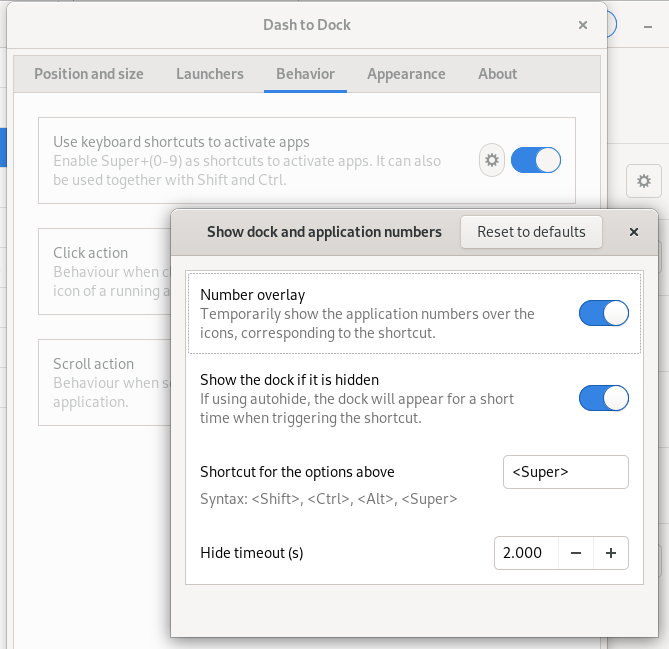 So you should make Plank to start automatically by right-click on desktop > Applications > Settings > Session and Startup > Application Autostart > click Add button > type the command: plank > give it a name and description as you wish > OK > close. 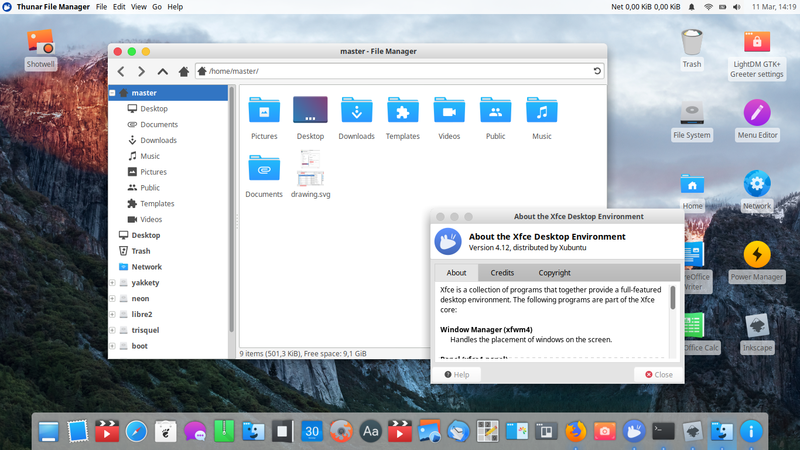 Just like KDE and MATE, XFCE allows icons on desktop. The easiest way to put one is by opening the start menu and drag one icon into the desktop. If you have deleted start menu, press Alt+F2, click the downward arrow, and drag any icon you wish from it to the desktop. Up to this point, you should have at least 4 different theme folders as shown in picture below. 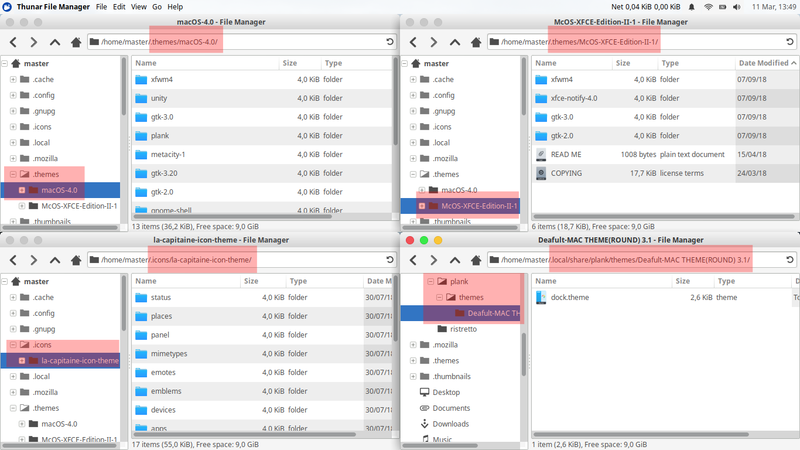 Please check the folder paths as pointed by transparent red boxes. And you may notice that there is a disturbing horizontal drop shadow slightly on top of your dock. 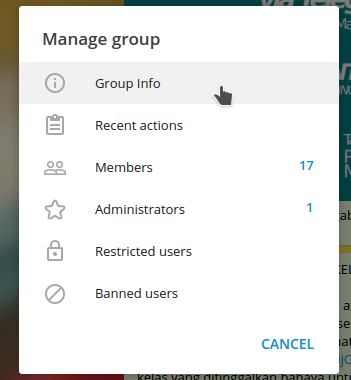 You can disable that, but, unfortunately, if you did it you will also disable the top panel's shadow. That's the biggest limitation of this tutorial. You find the configuration from start menu > Window Manager Tweaks > Compositor > uncheck the option Show shadows under dock windows > close. I wish I could find a way to keep the top's shadow while disabling the bottom's shadow. Here's the final result if you followed all instructions. 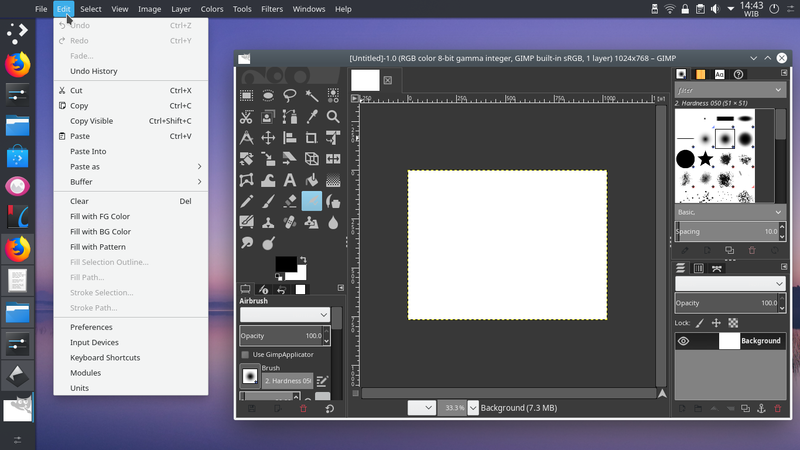 This one is Inkscape Vector Editor program running un-maximized with global menu from the top panel. 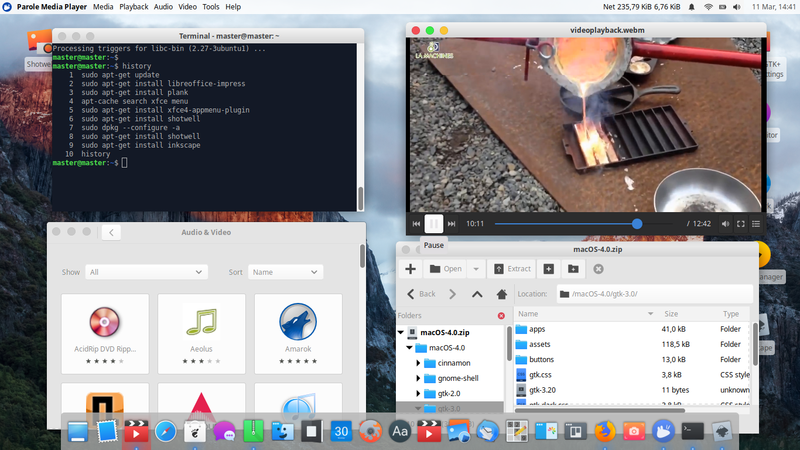 Here's how Terminal, Parole Media Player, Thunar, and GNOME Software look like using this theme pack. Pay attention also to the active global menu. 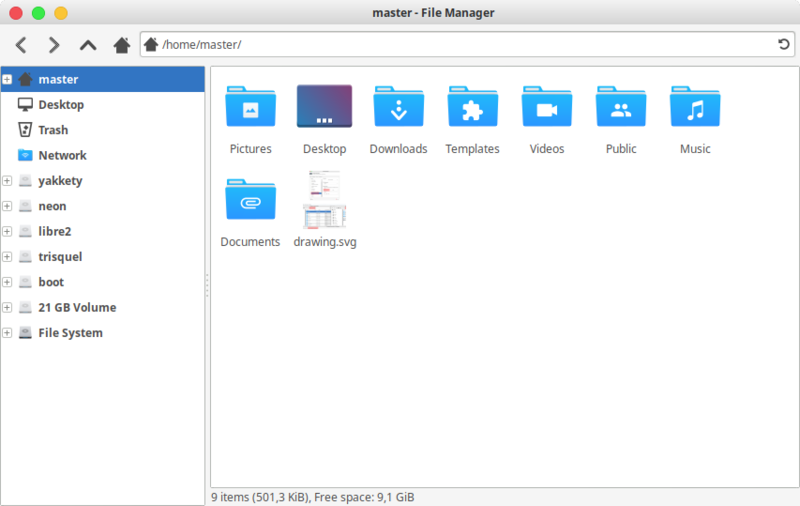 Here's how Thunar File Manager looks like. Actually it's not too satisfying, the GNOME's Nautilus few days ago was better than this. This customization feels quicker and easier compared to MATE Desktop one. 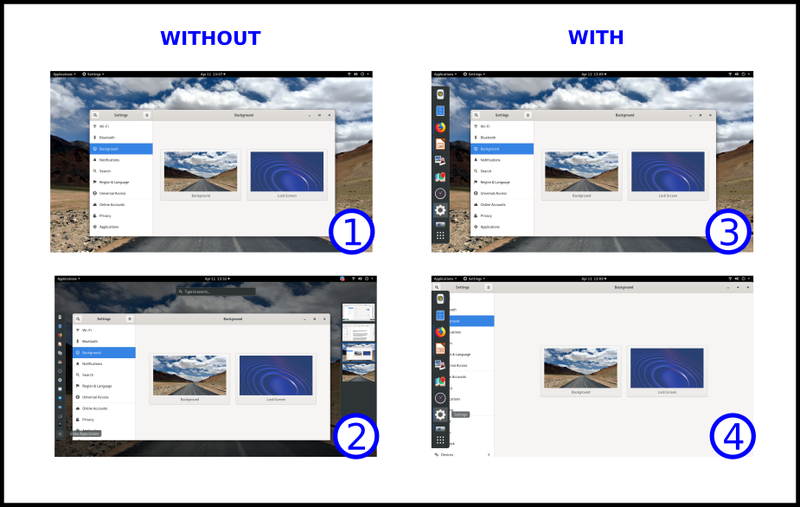 It's nice and fun to do, especially while we really can implement global menu on XFCE right now, and we can easily tweak the size and the transparency of top panel. 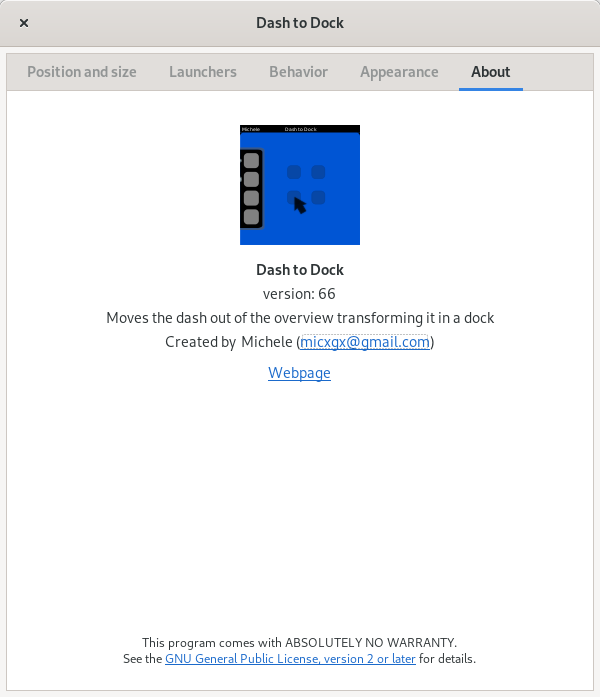 There's not so much difference on the Plank dock side, but it's nice to see how far it can blend to the whole desktop. 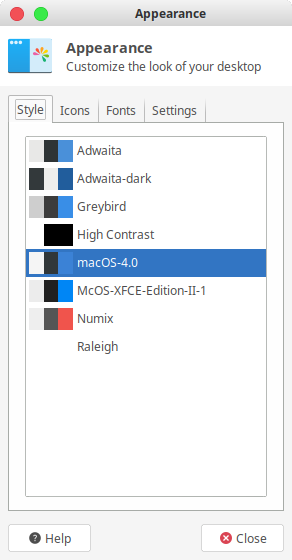 I admit there are things that are not too nice like there is no drop shadow under top panel and dock, no "finder" button, and the GTK3 theme I used above actually cannot blend perfectly to the system tray color (did you notice it?) 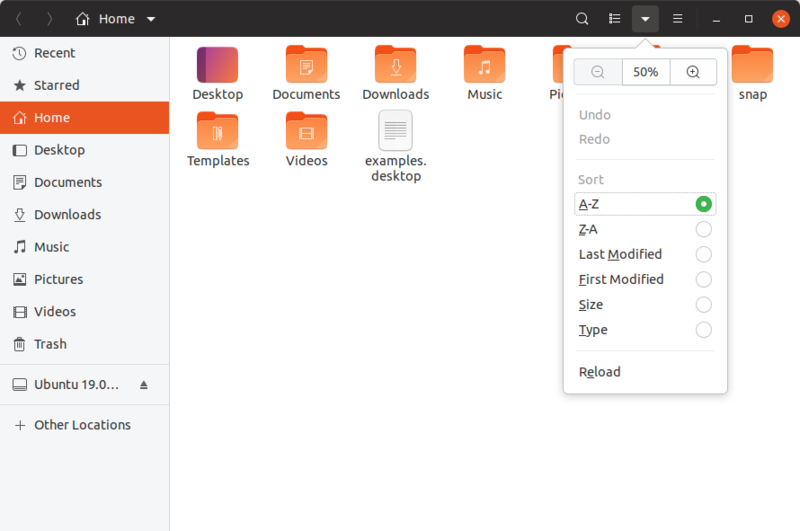 and the file manager. Anyway, I hope you are satisfied with this tutorial and you can go further if you wish as I let some space for you to tweak yourself. Happy customizing, enjoy, and share it with your friend! 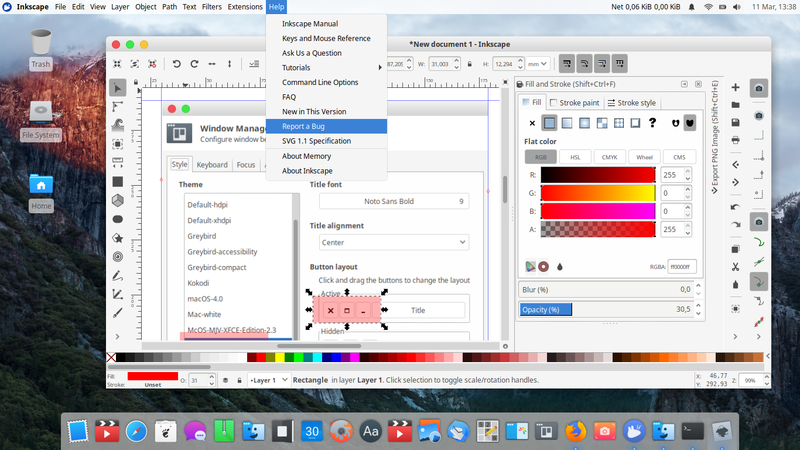 Following the first and the second tutorials, it's MATE Desktop's turn now getting customized with Yosemite Theme Pack. 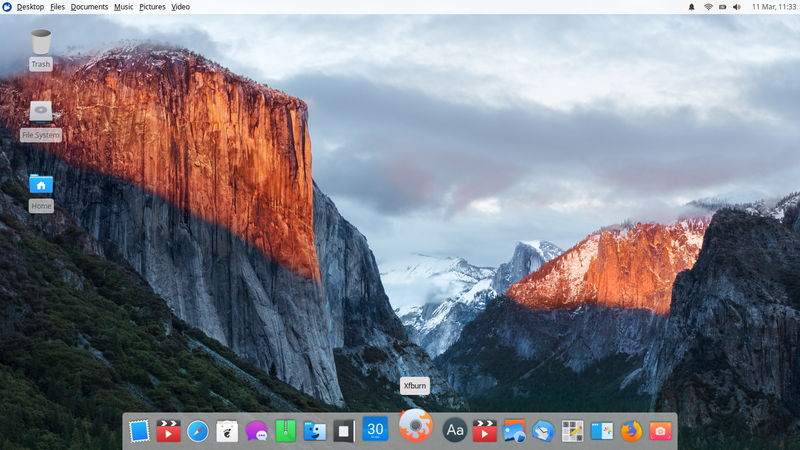 We will use OS-X-Yosemite as both interior (GTK3) and exterior (Metacity) themes, McHigh Sierra as icon theme, Madmac as Plank theme, plus some more tweaks done via MATE Tweak Tool. You don't need to install any additional software package. 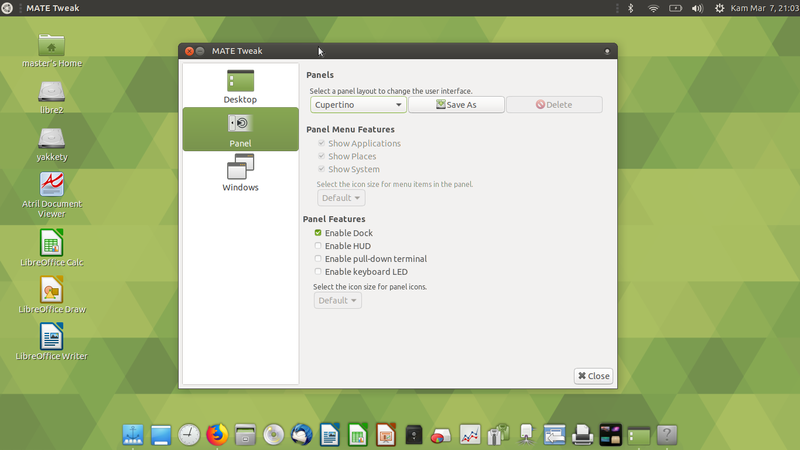 This customization has been tested and worked on Ubuntu MATE 18.04 LTS. It's really fun and everybody new to customization can benefit from the basics practiced here. Enjoy it, and share with your friends! This is the one we want to achieve. We will install Controls theme, Window Border theme, and Icons theme like pictures below. 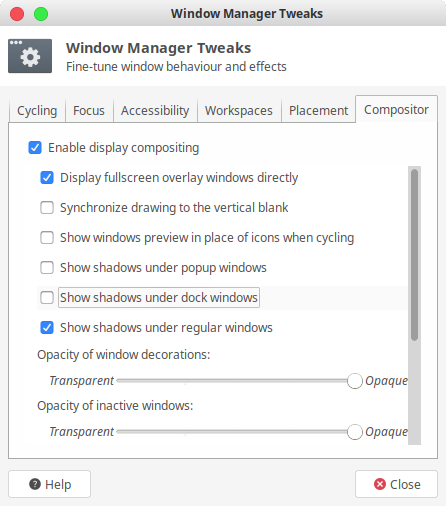 We will adjust our MATE Tweak Tool to use a custom Cupertino Layout and to enable Marco window manager compositing. See pictures below. 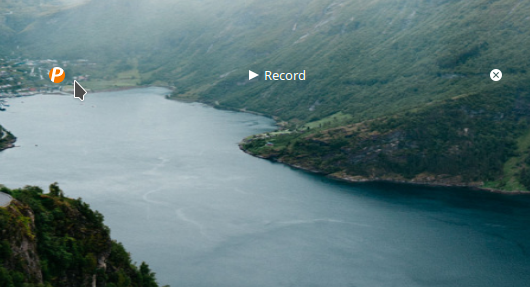 Like previous articles, you can download macOS wallpapers from sites like 512 pixels. 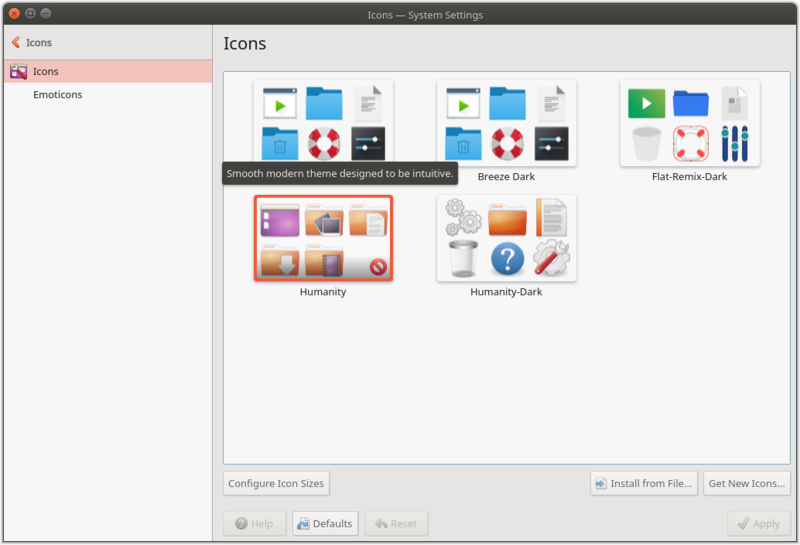 The icon theme is McHigh Sierra. Download it from https://www.mate-look.org/p/1013714/. Extract it and copy the folder into ~/.icons. 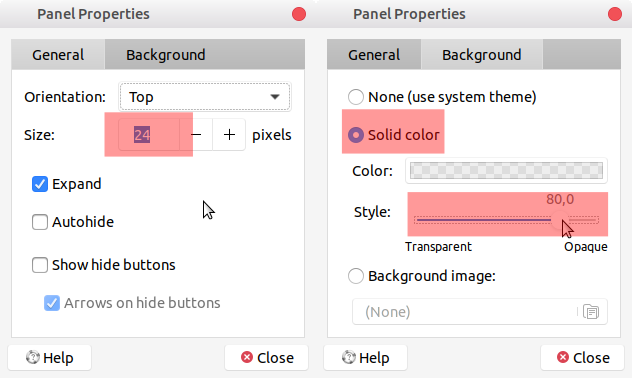 Enable it by right-click desktop area > Change Background > see Themes tab > select first theme > Customize > Icons > select MacOSX > OK. The Metacity theme here is OS-X-Yosemite. Download it from https://www.mate-look.org/p/1013490/. Extract it and copy the folder into ~/.themes. 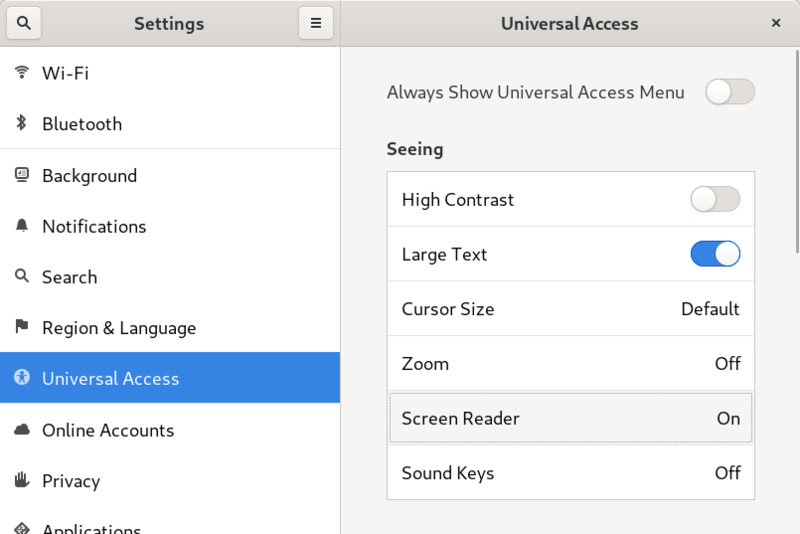 Enable it by right-click on desktop area > Change Background > see Themes tab > select first theme > Customize > see Window Border tab > select OS-X-Yosemite > close. 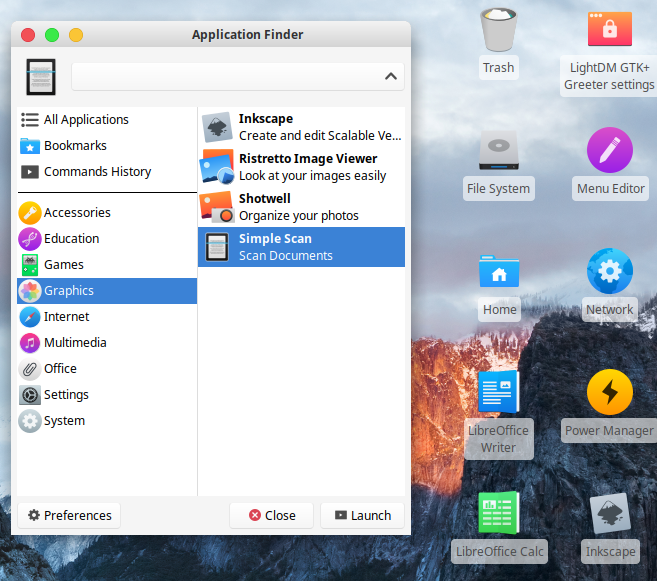 The GTK3 theme here is also OS-X-Yosemite. 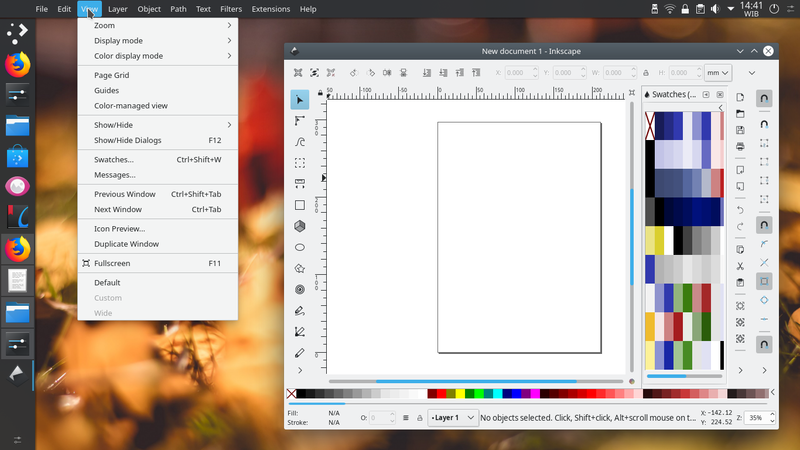 This GTK3 theme is already included along with Metacity theme above. 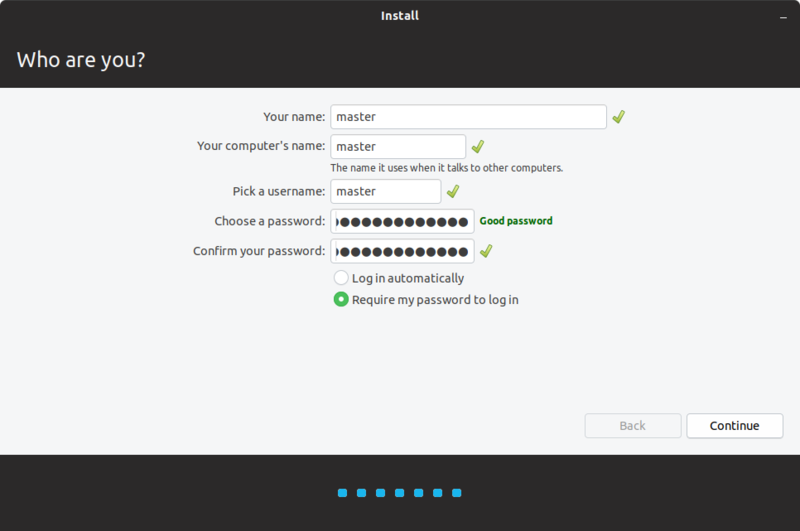 If you have already installed it, you don't need to do anything else. Enable it by right-click on desktop area > Change Background > see Theme tab > select first theme > Customize > see Controls tab > select OS-X-Yosemite theme > OK. 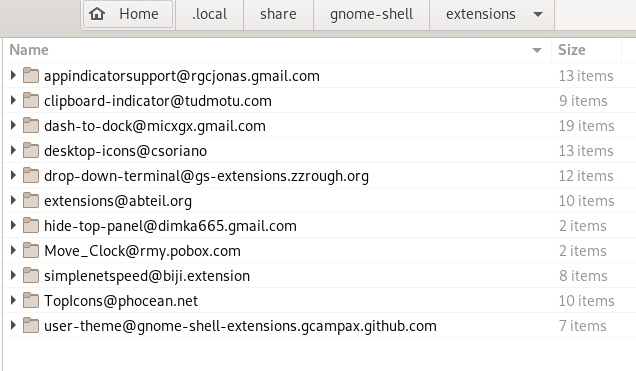 Note that MATE has close relationship to GNOME so you may also download any GTK3 theme from gnome-look.org site instead of mate-look.org. 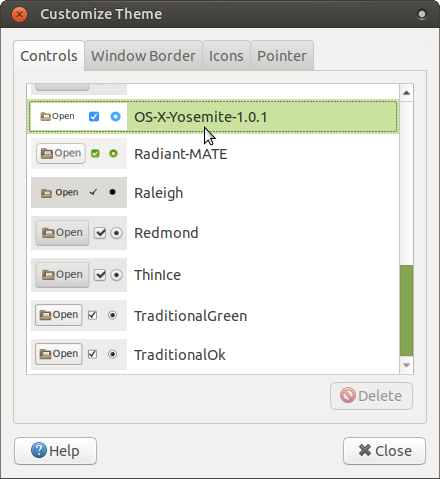 Also note that starting from version 1.18 MATE has already been fully GTK3. 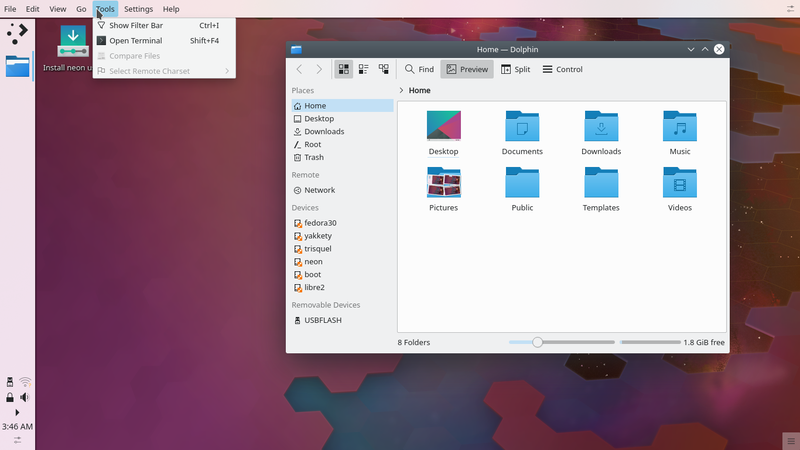 So every GTK3 theme is compatible with both desktops. 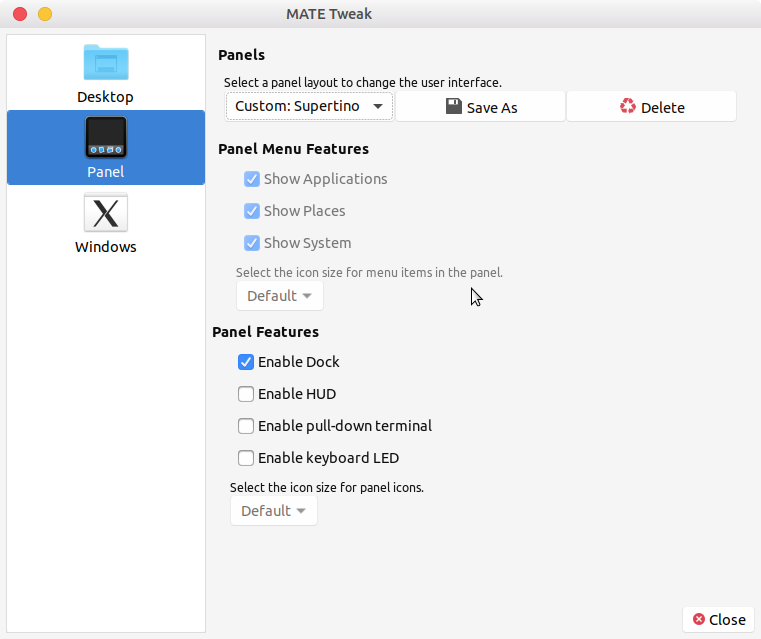 Start MATE Tweak and switch panel layout to Cupertino. 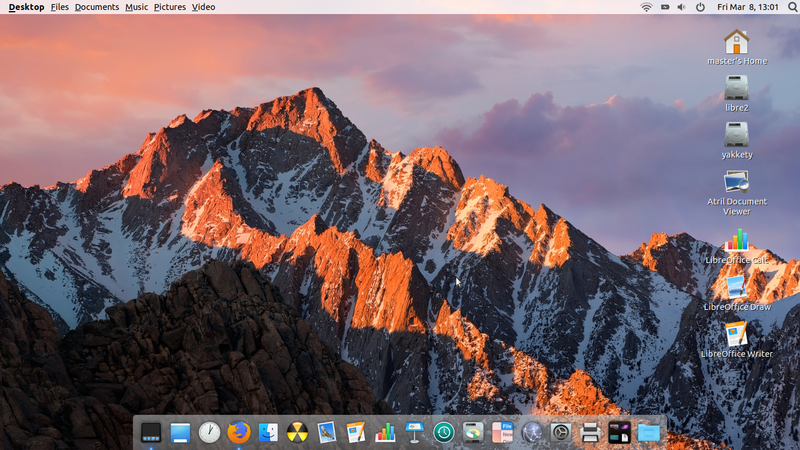 This makes the desktop shows top panel (with global menu) and bottom dock (Plank), a basic setup of macOS. 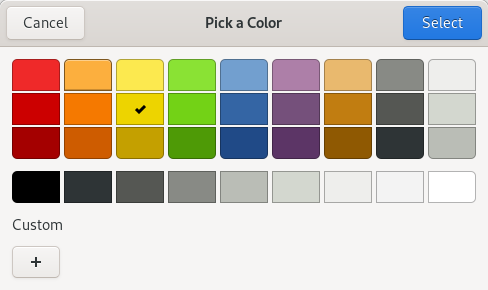 You will later edit the panel layout and save the edited layout as another name. First: right-click the Brisk menu button > Remove > Brisk menu removed. 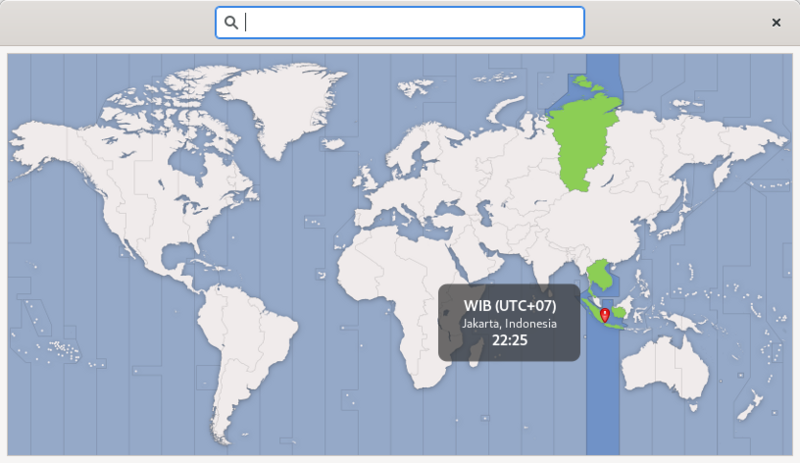 Second: right-click the global menu applet > Unlock > right-click > Move > drag it to the right a little. You should have blank space on the most left now. 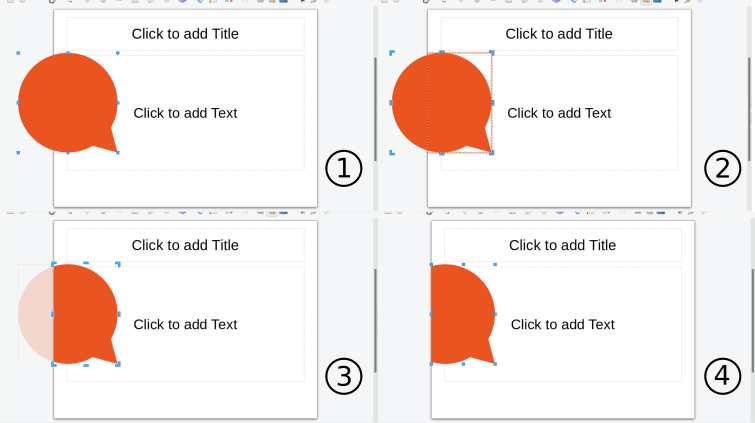 Third: right-click on the most left > Properties > make panel size 24 > make panel transparency 80% > OK.
Fourth: right-click on the same area > Add to Panel > find applet named Search for files > double-click to add it to panel > move it to the right side of panel. Fifth: move everything on panel to its right place > lock everything. 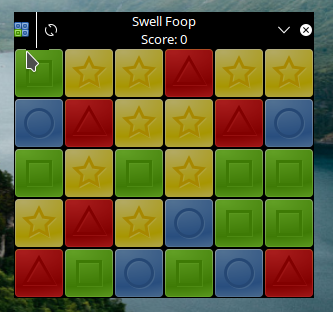 Sixth: start MATE Tweak and save panel layout as Supertino. The Plank theme is Madmac. 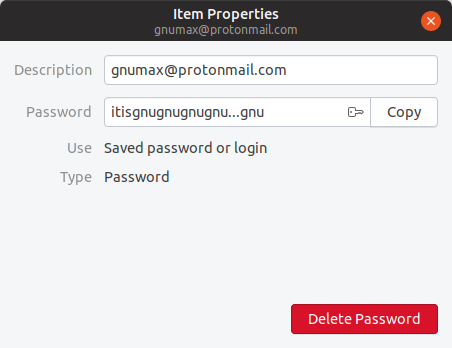 Download it from https://www.gnome-look.org/p/1208015/. 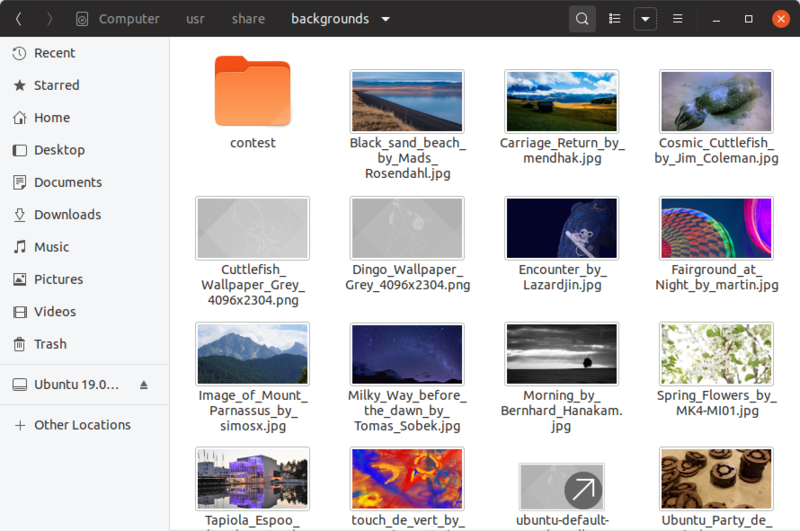 Extract it and copy the theme folder into ~/.local/share/plank/themes/. Enable it by Ctrl+right-click on Plank > Preferences > set theme: madmac. 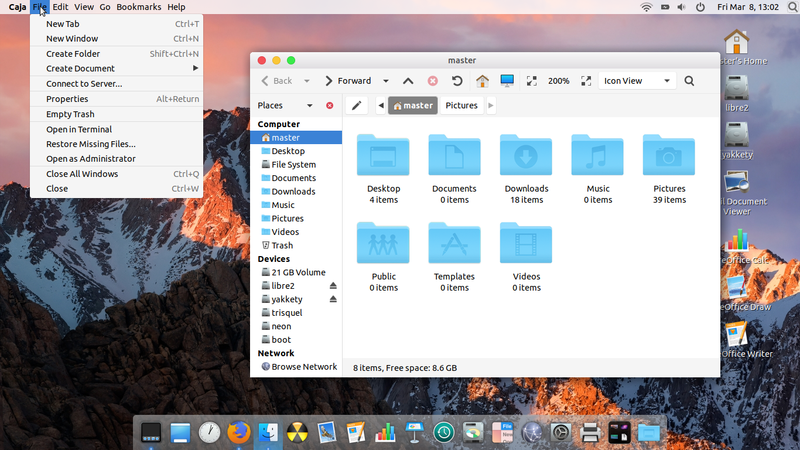 Unlike GNOME, MATE permits icons on desktop by default. Simply use start menu and drag-and-drop or Alt+F2 and drag-and-drop the icon. 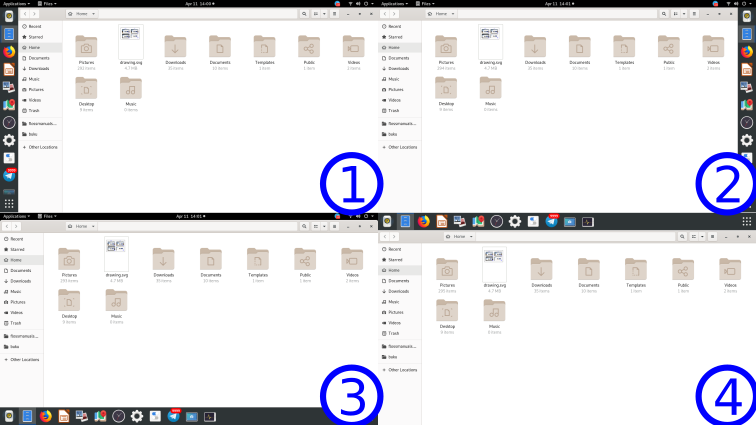 Up to this point, you should have at least two theme folders in two folders, namely OS-X-Yosemite-1.0.1 under ~/.themes and MacOSX under ~/.icons. 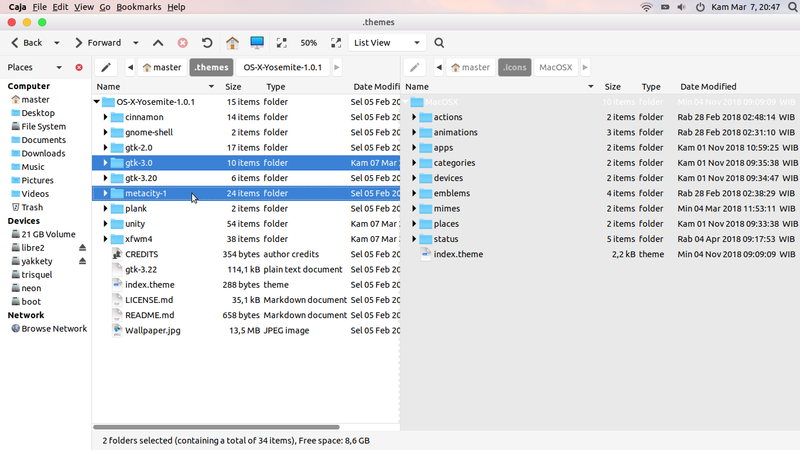 Under the former, you should see a gtk-3.0 folder and also metacity-1 folder. Those are the folders of your Controls and Window borders. See picture below. That's all. I am more satisfied with this one compared to the previous GNOME+McMojave one. 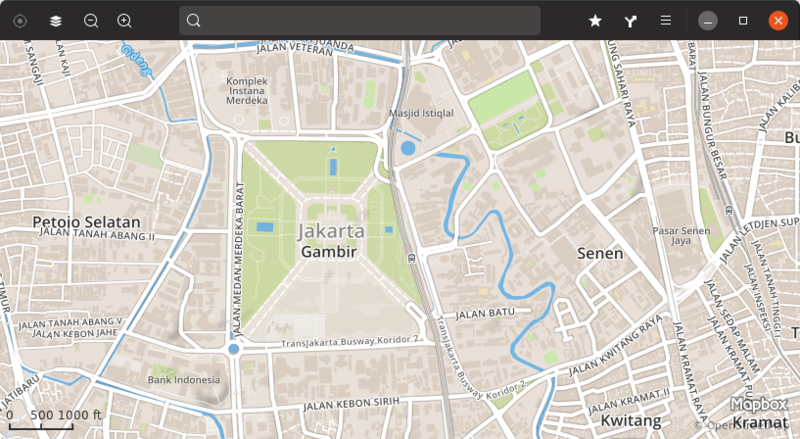 The top panel is just lovely with its size and trasparency, not to mention we can put global menu on it. The bottom dock size, zoom animation, and translucency are just perfect in my opinion. 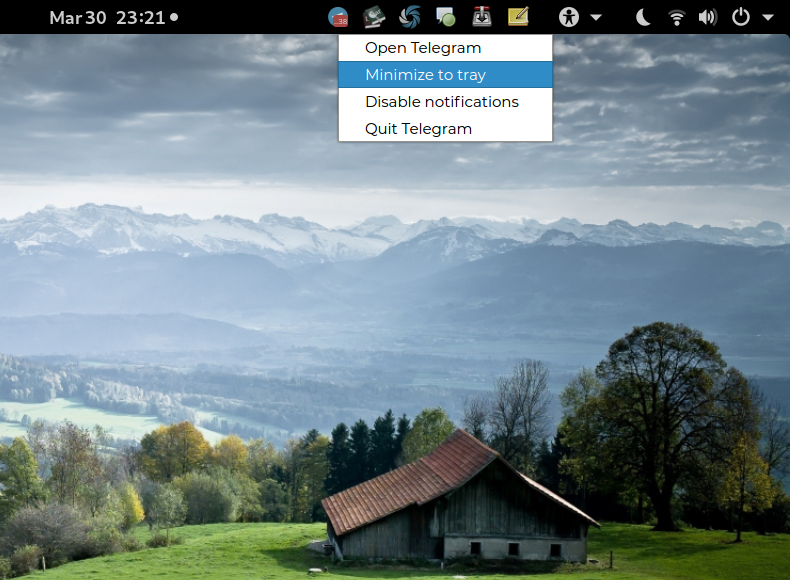 This one is closer to the the first KDE+MojaveCT one. I wish this satisfies you as well. However, indeed I let several empty spaces for you to make awesome stuffs by your own creativity. See you in the next customization tutorial!